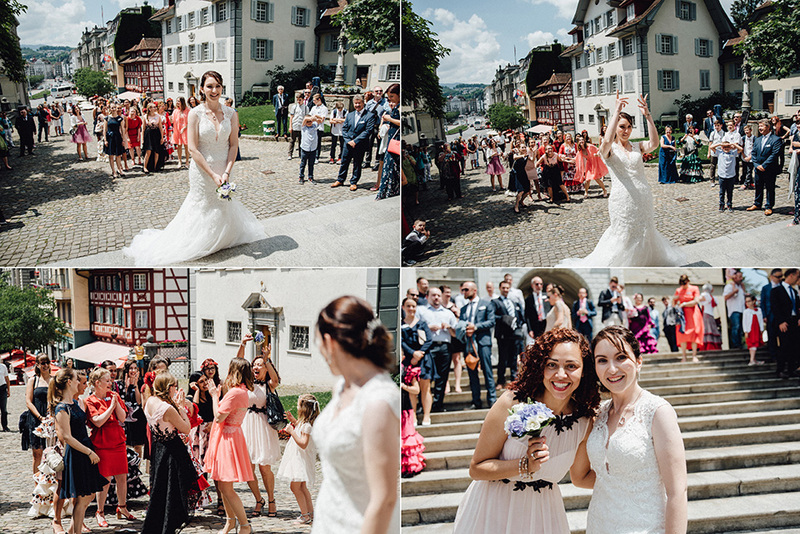 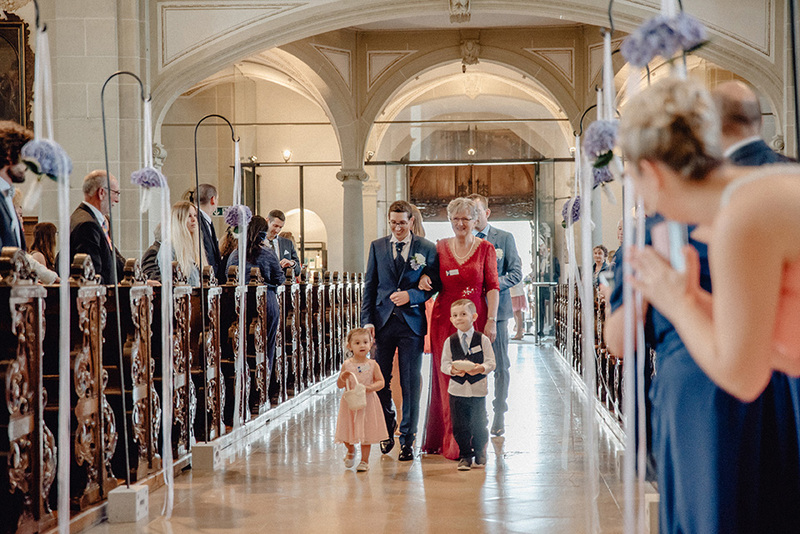 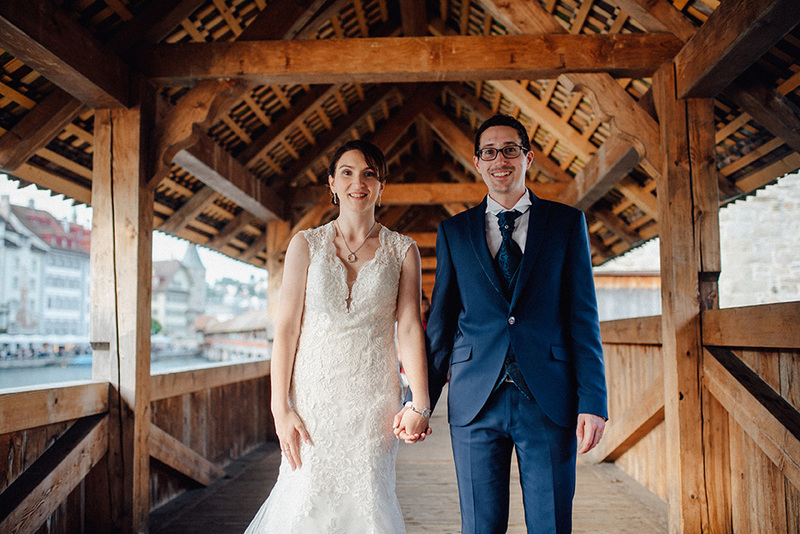 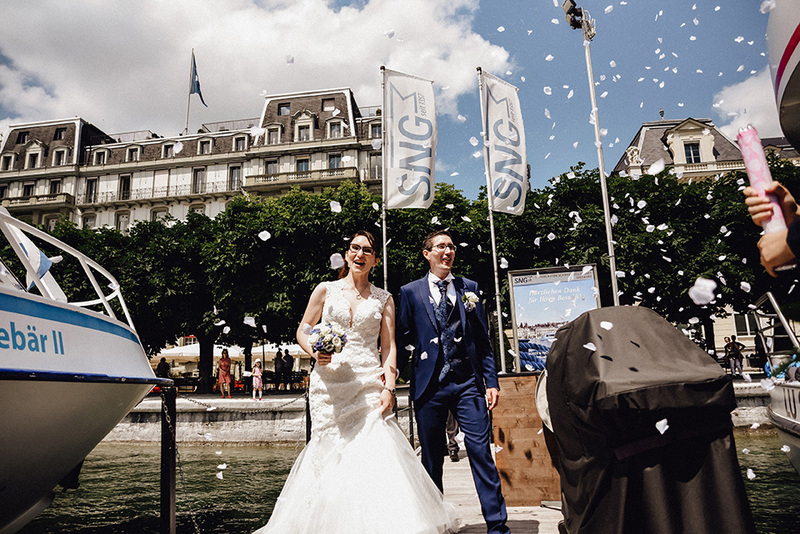 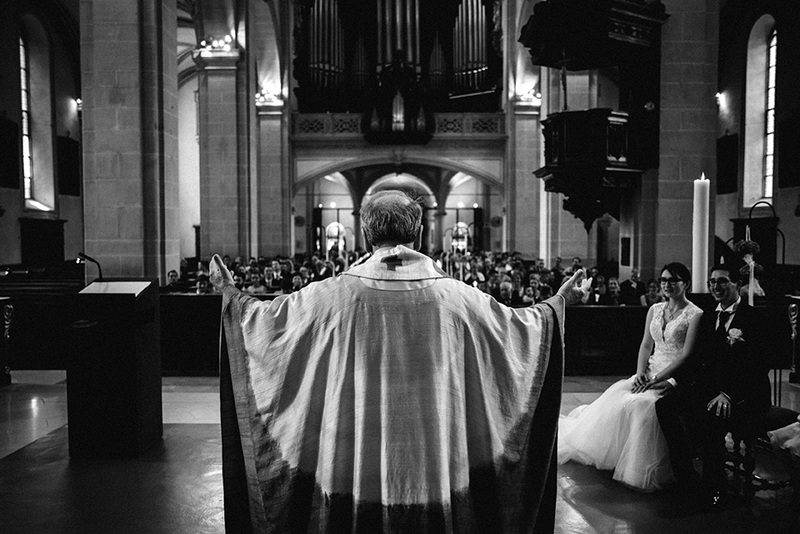 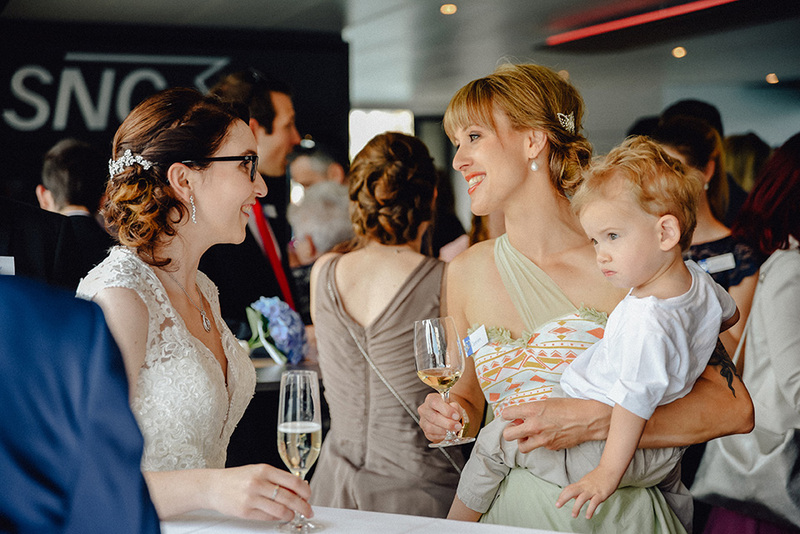 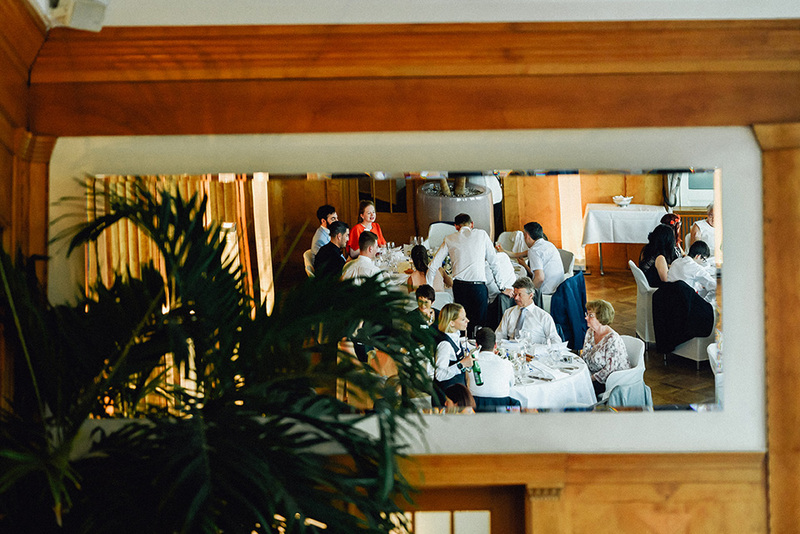 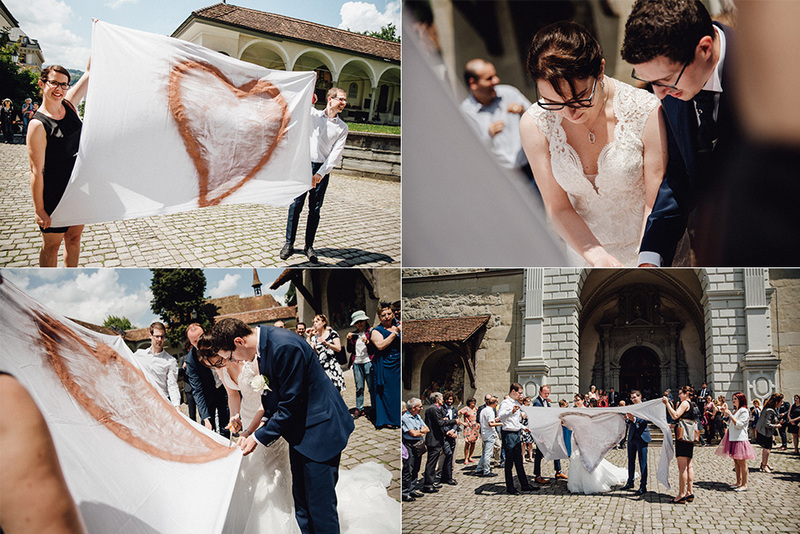 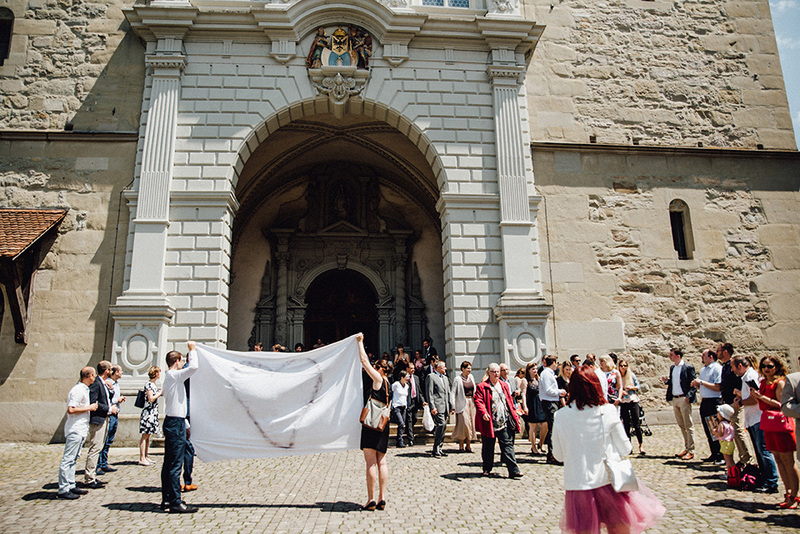 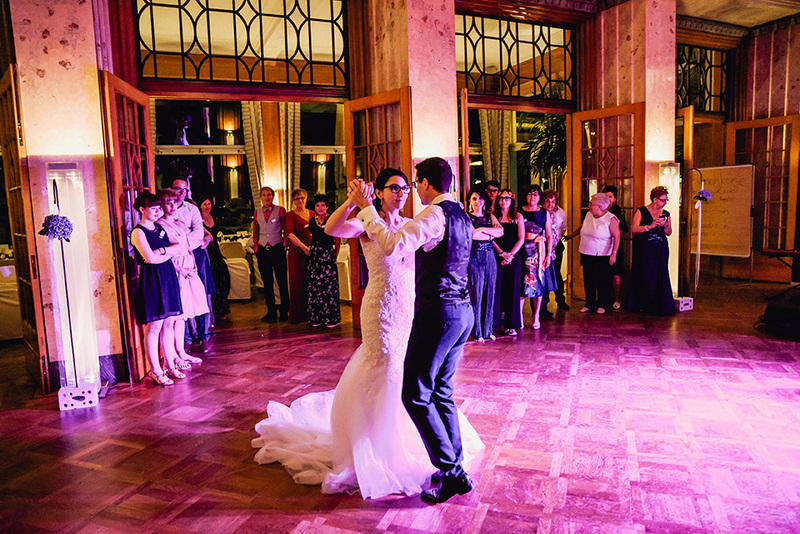 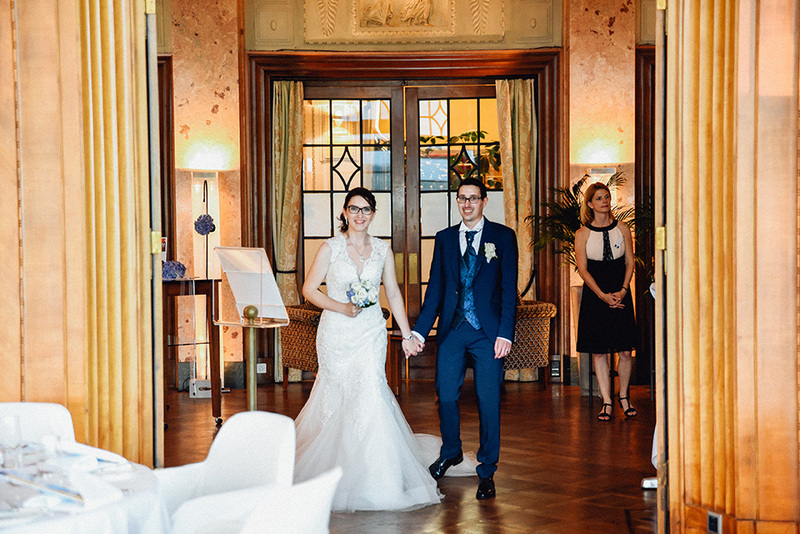 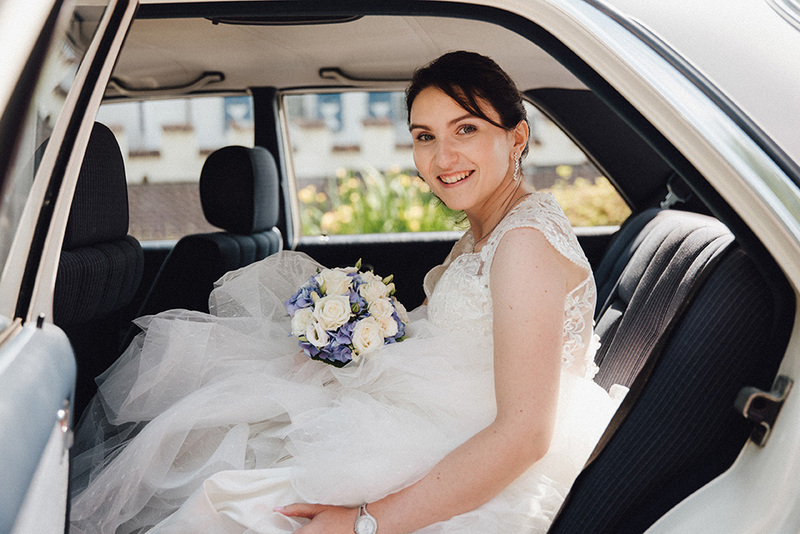 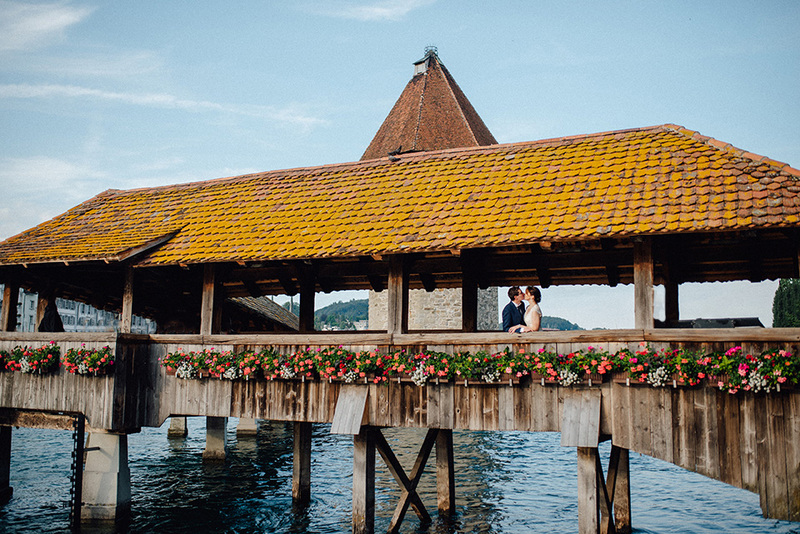 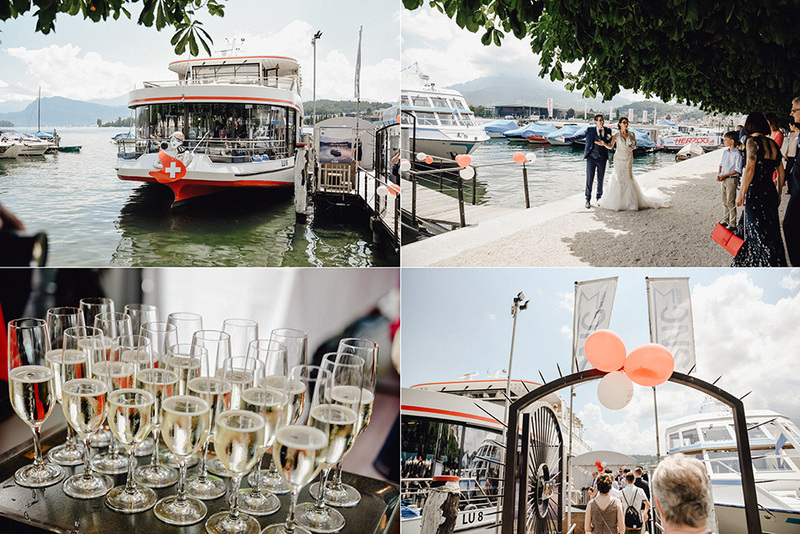 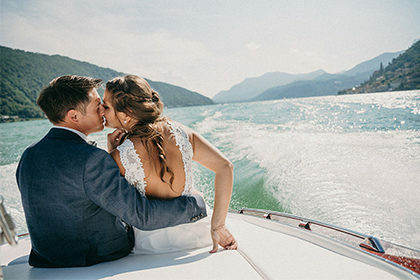 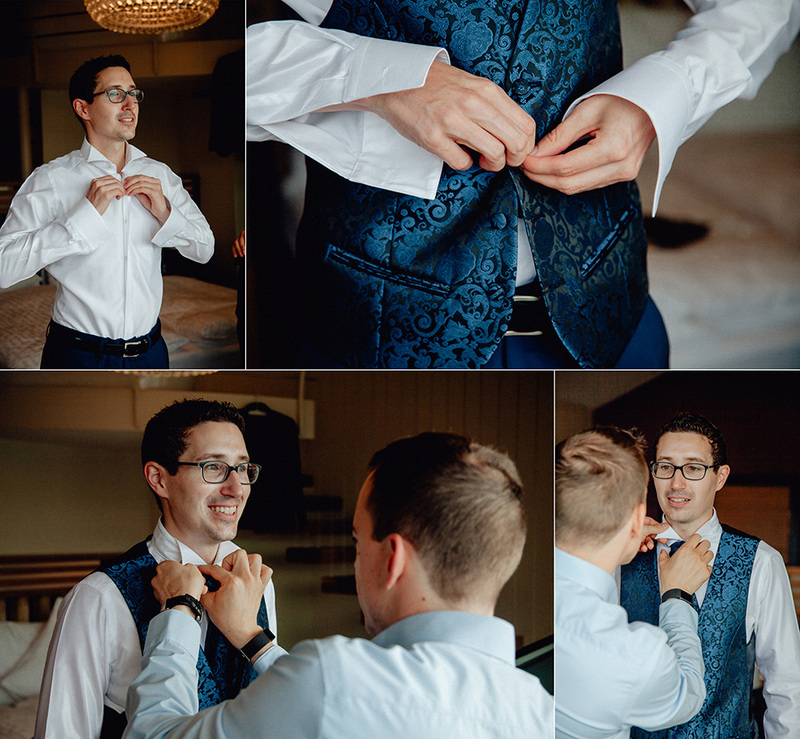 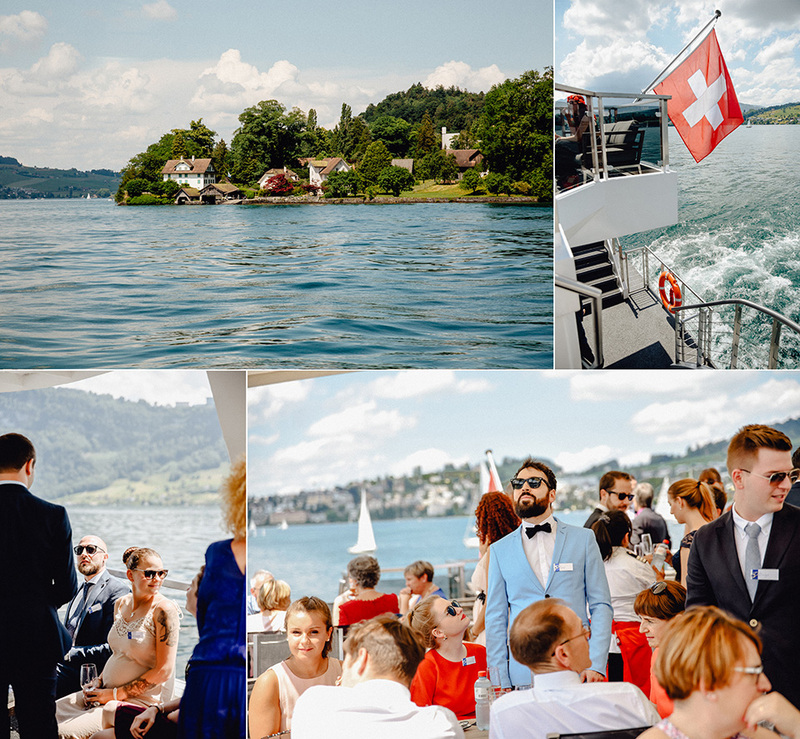 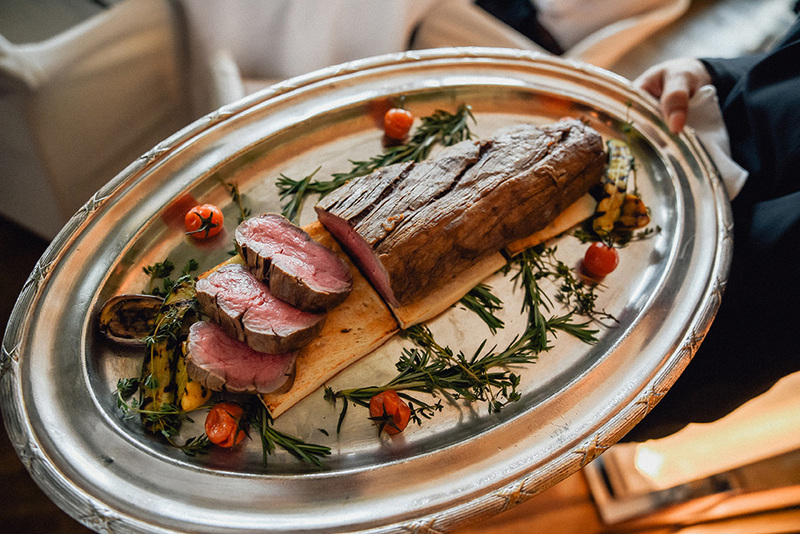 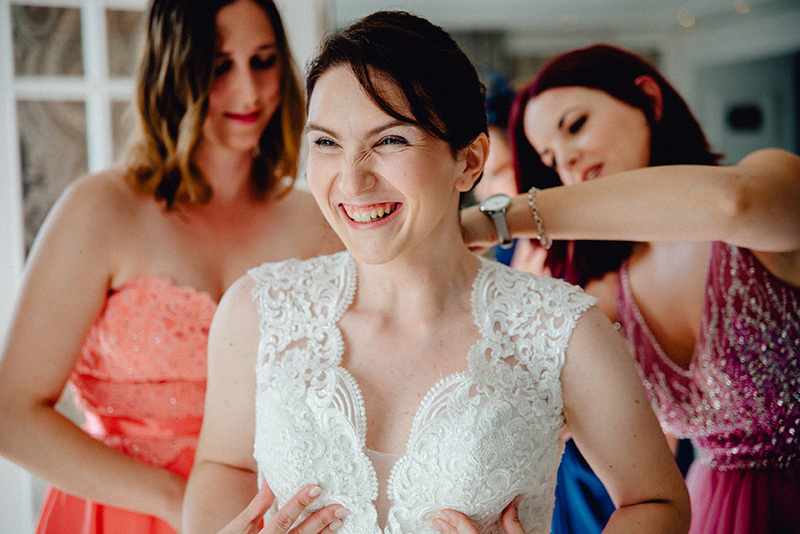 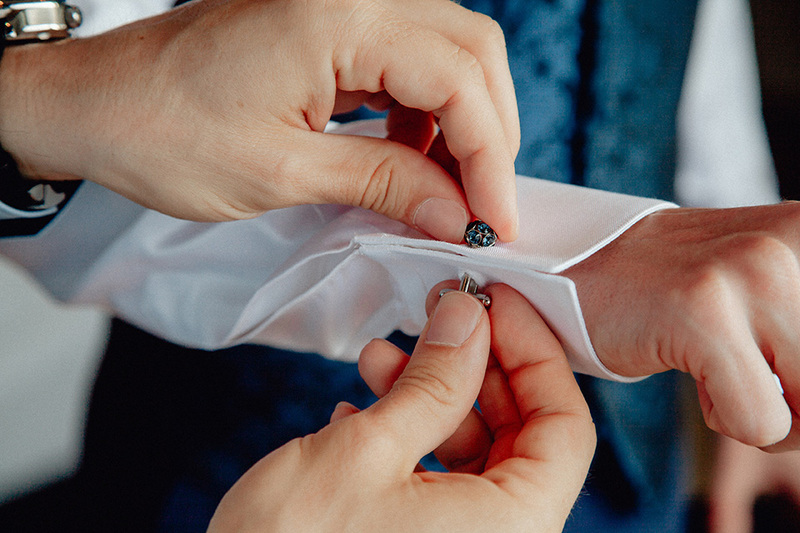 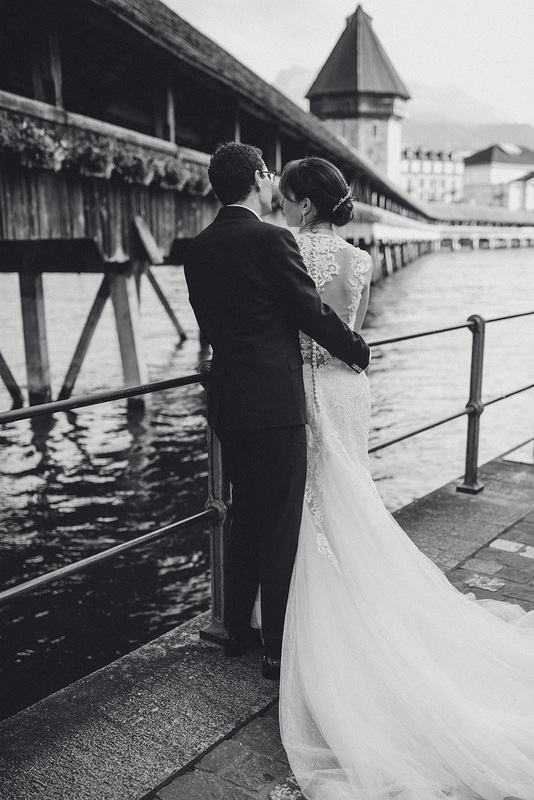 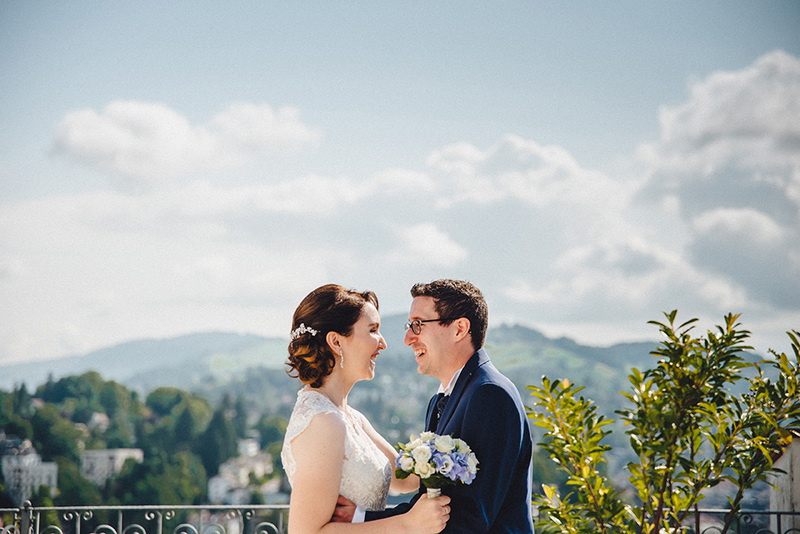 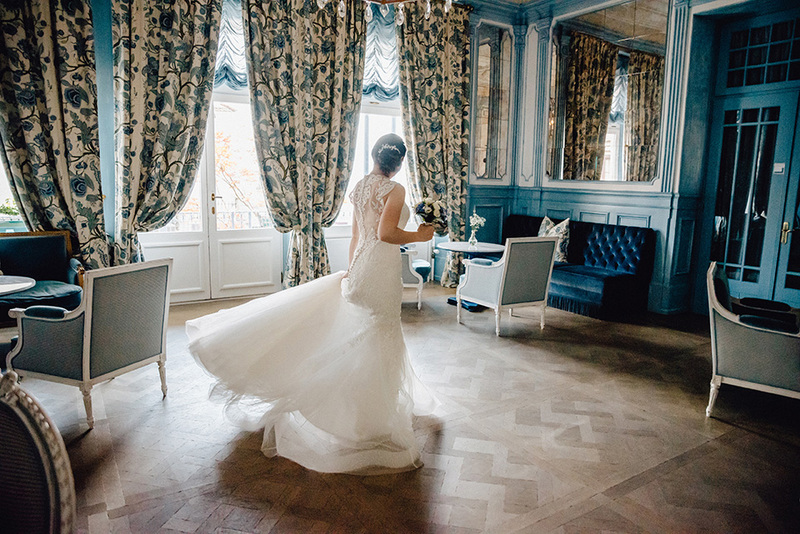 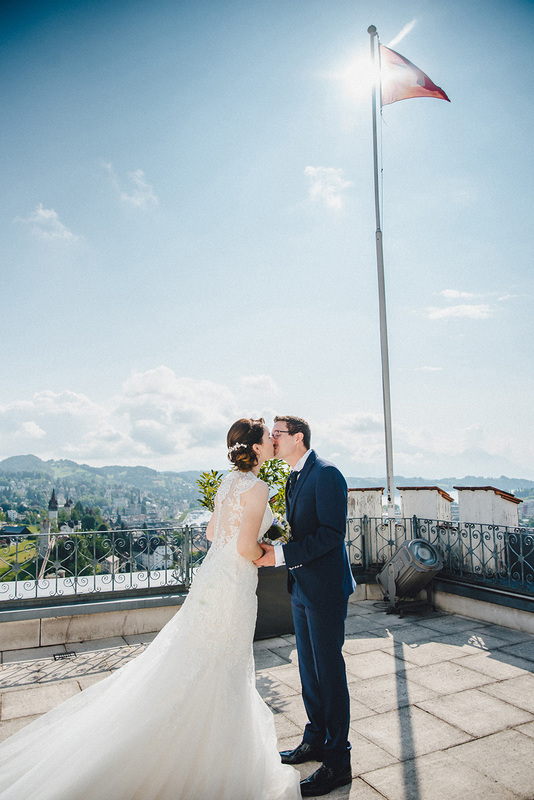 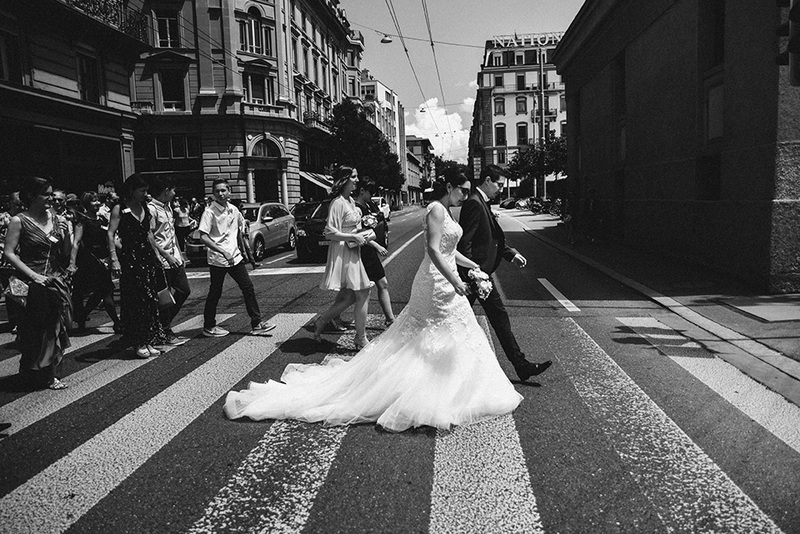 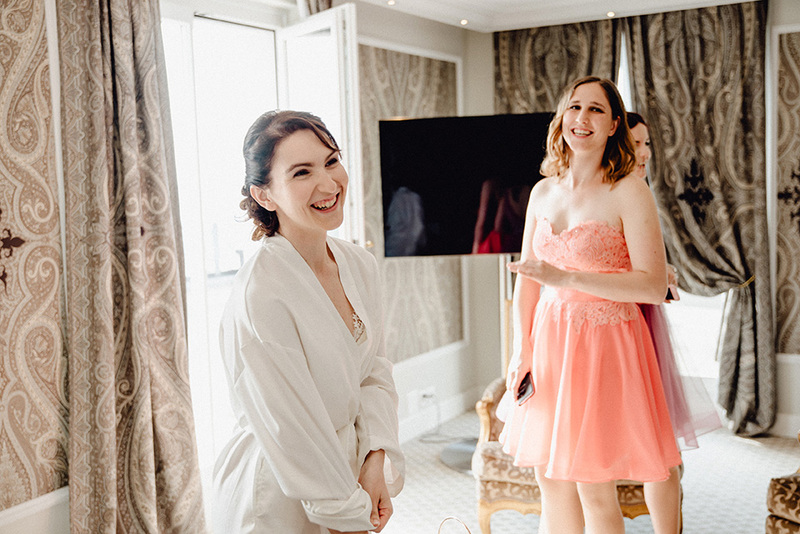 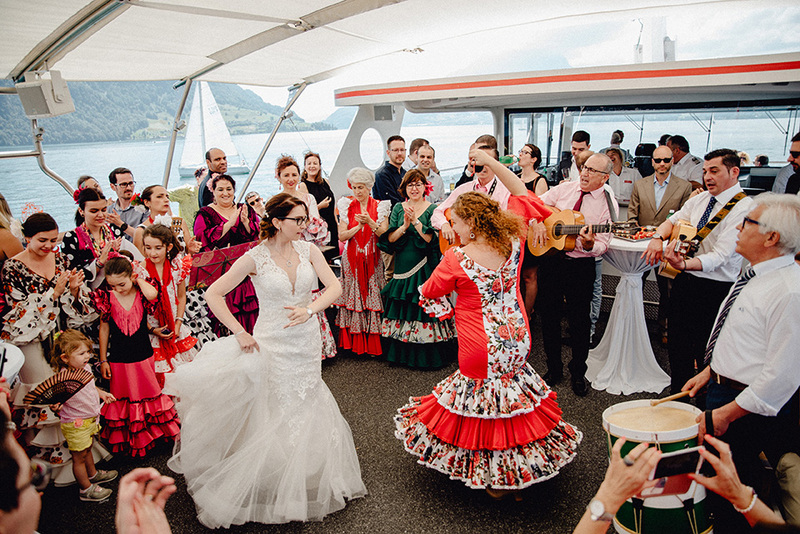 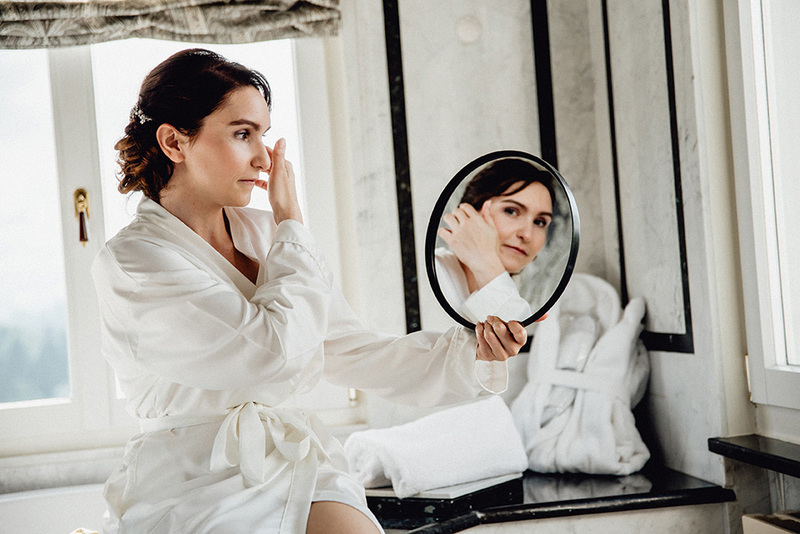 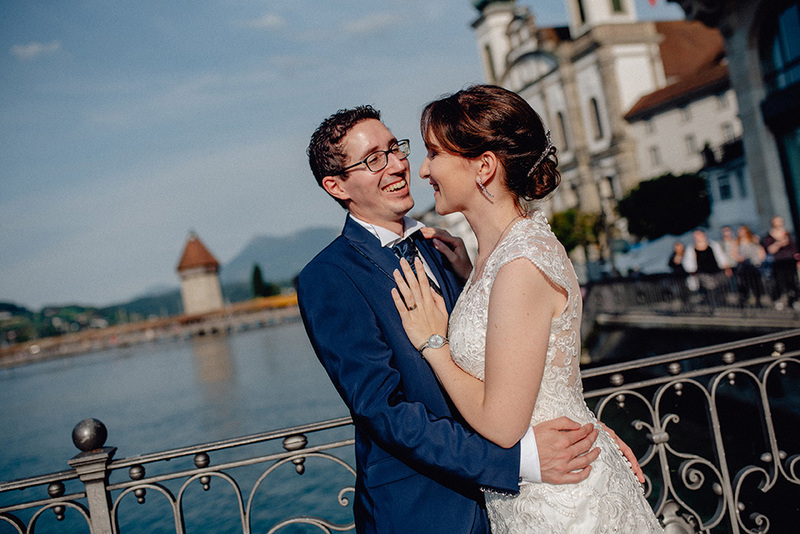 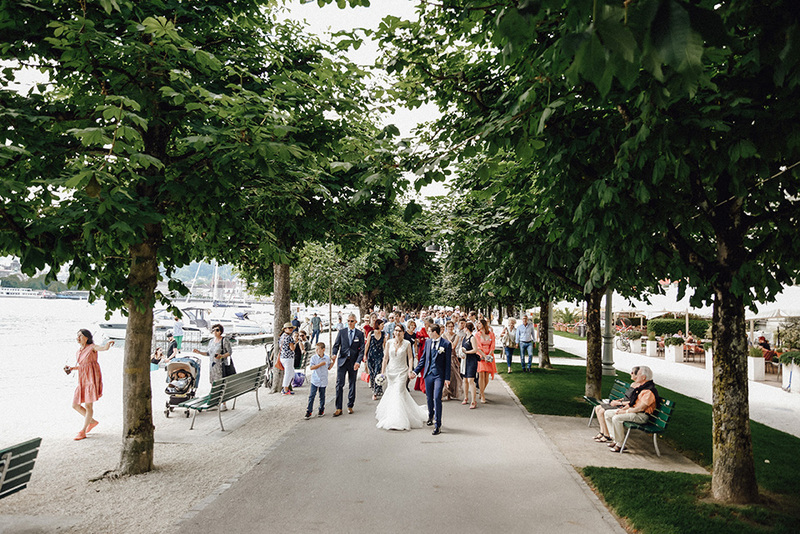 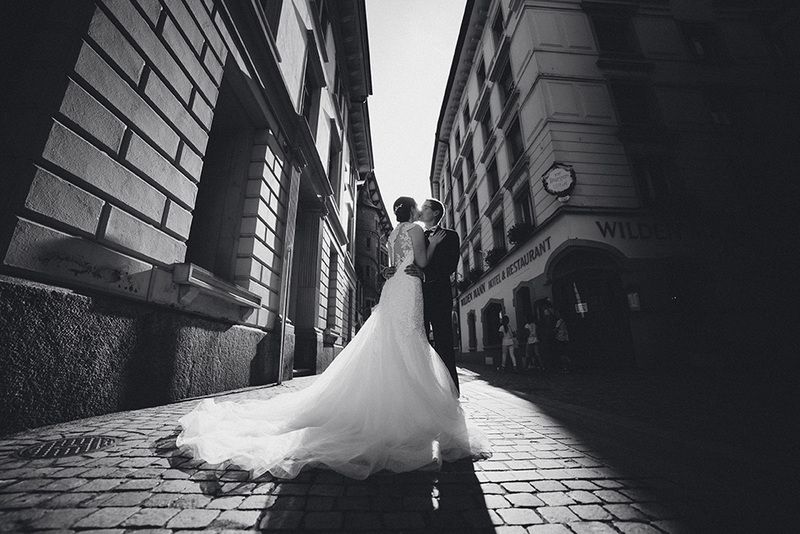 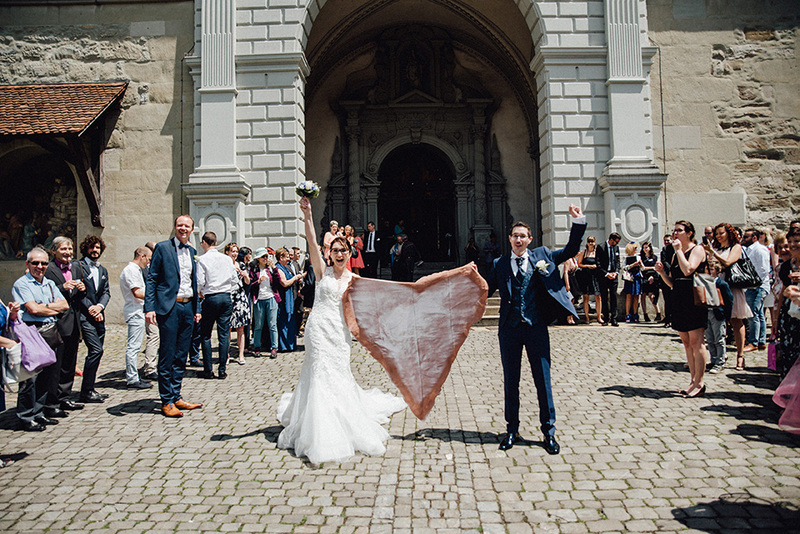 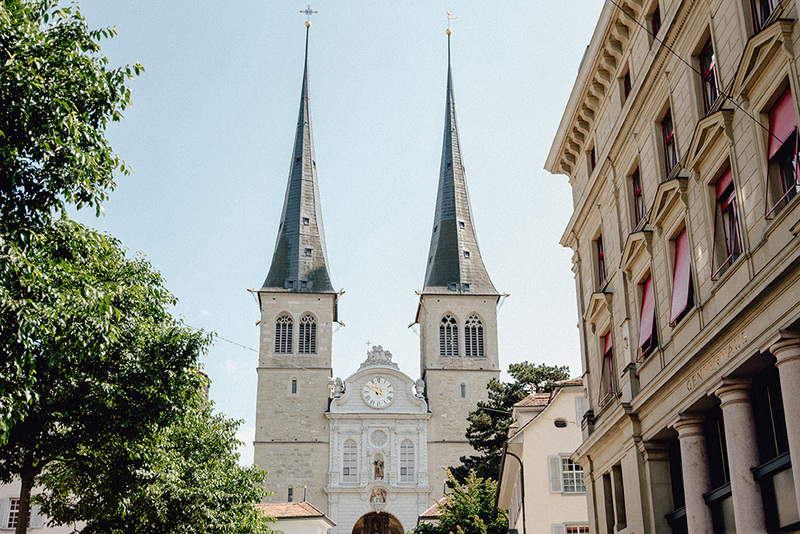 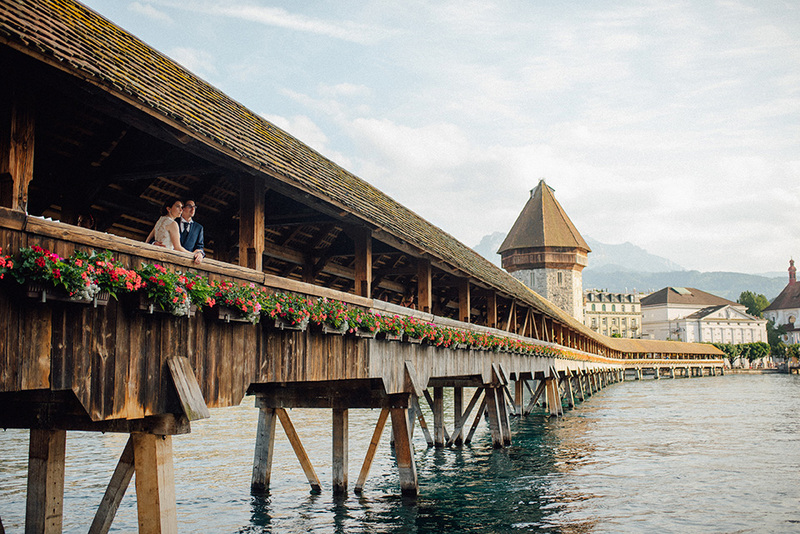 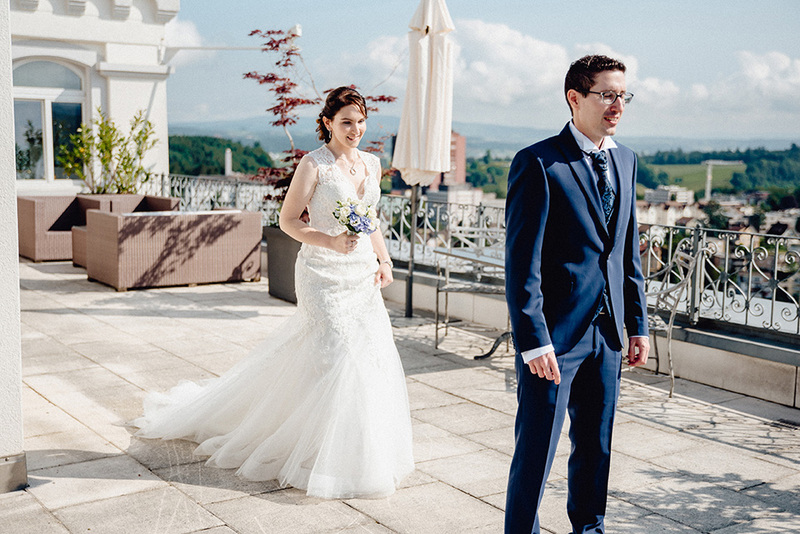 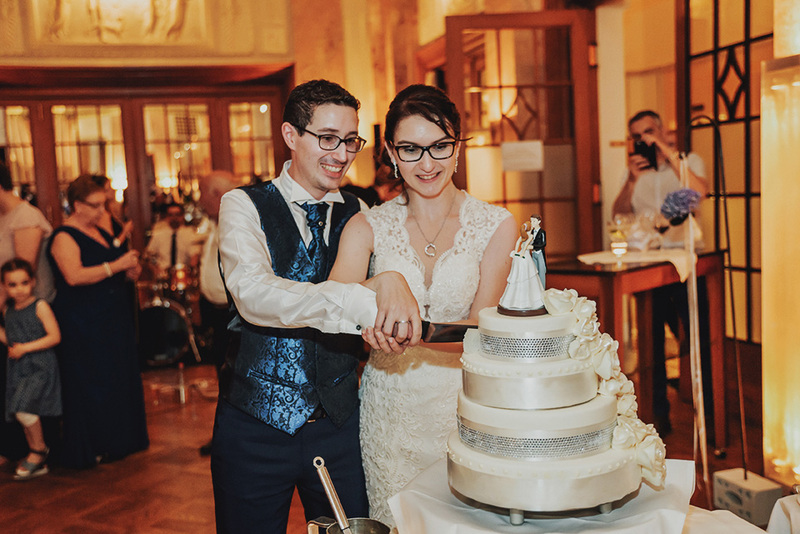 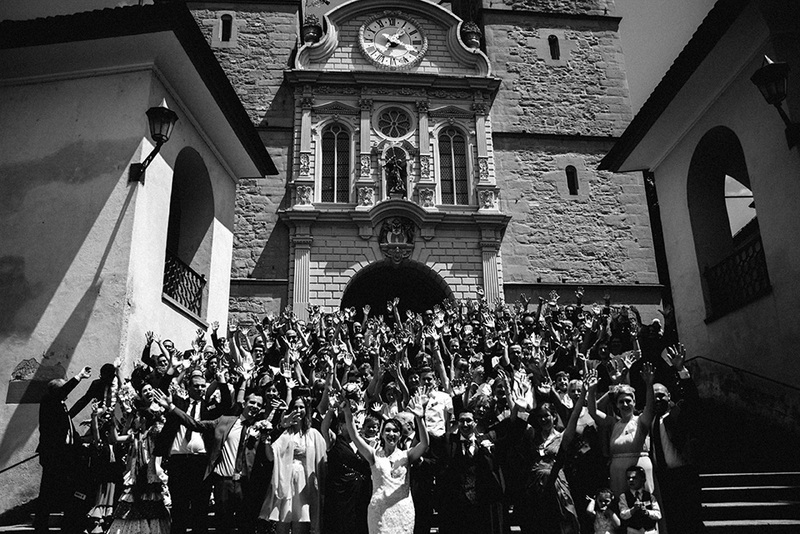 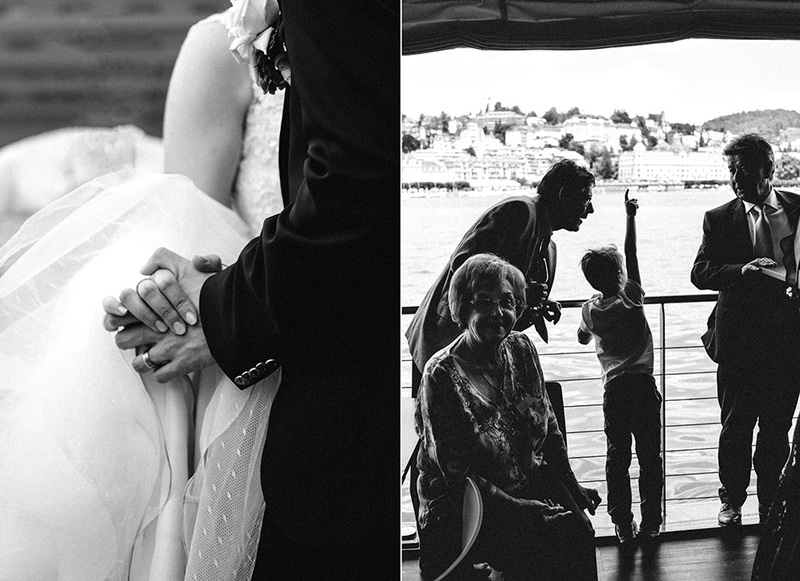 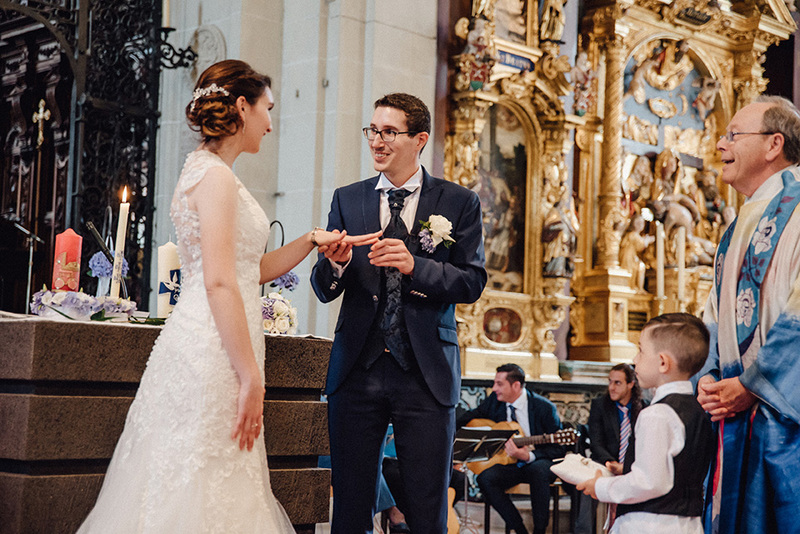 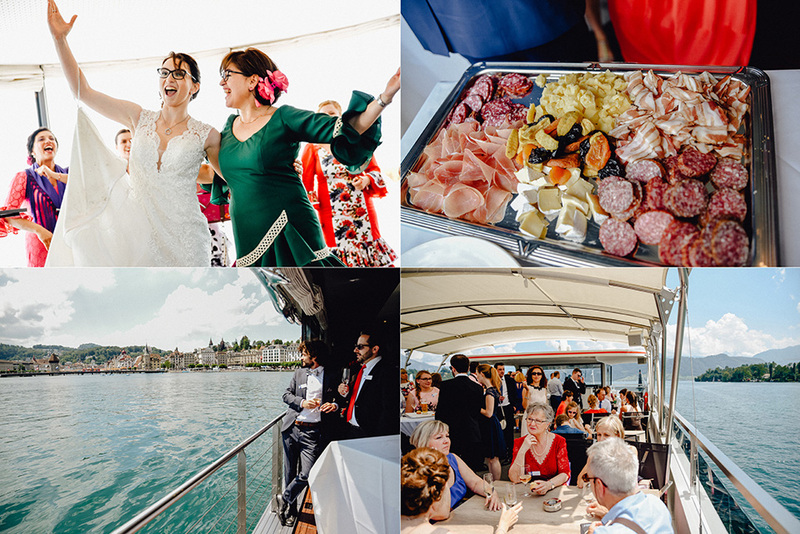 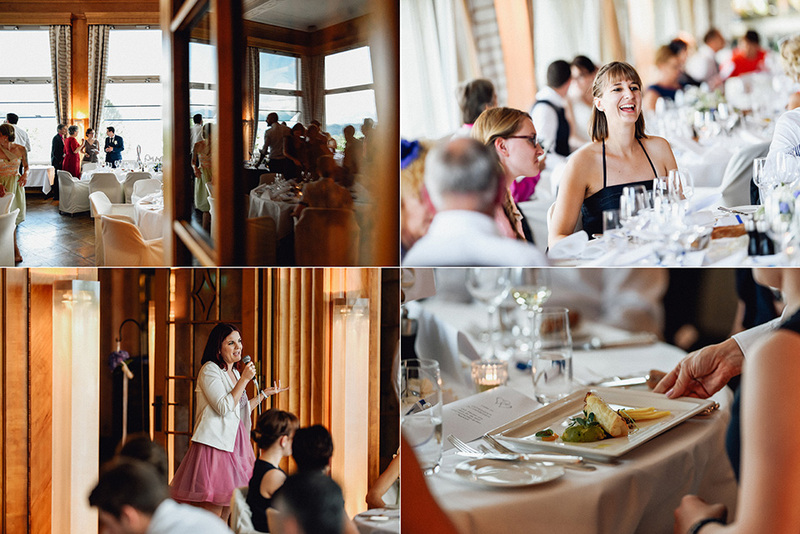 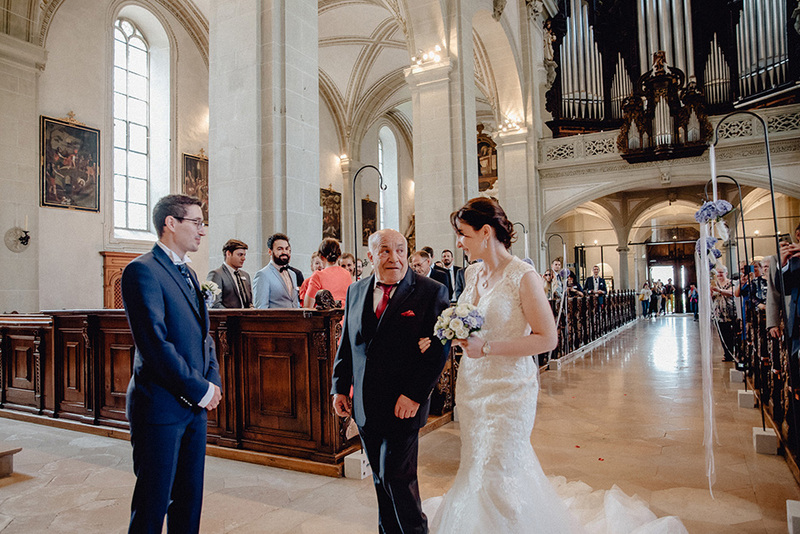 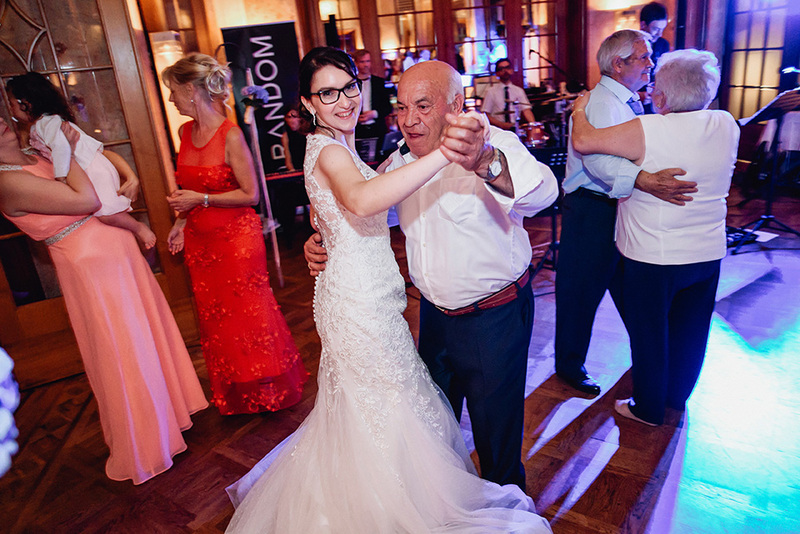 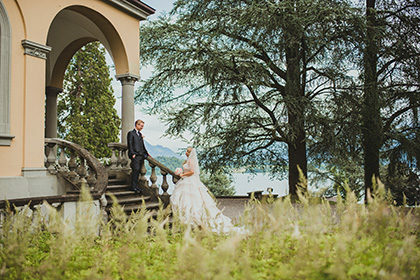 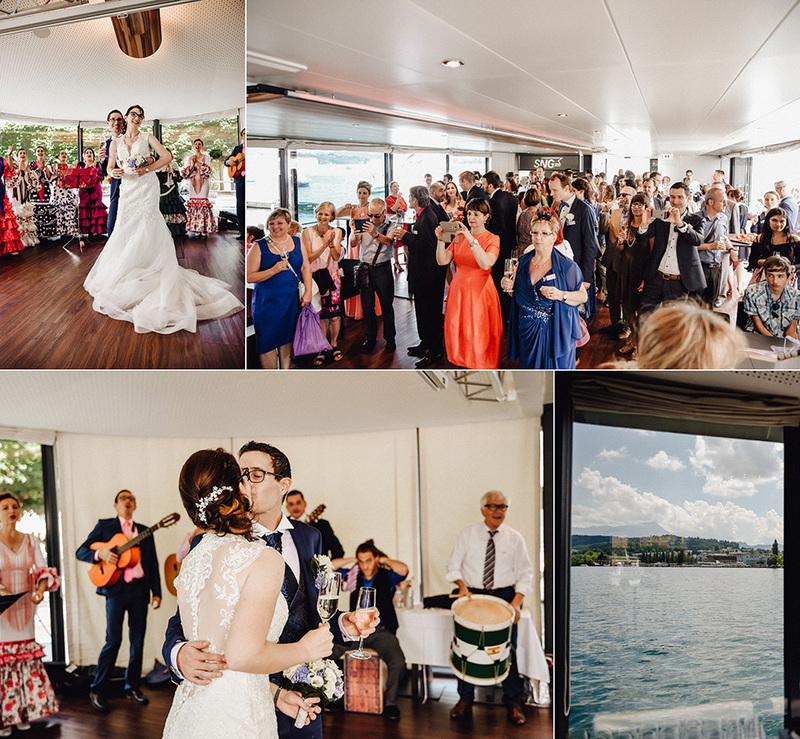 To being part and photograph a really elegant wedding in Lucerne is a memorable and unforgettable experience for any wedding photographer in Switzerland. 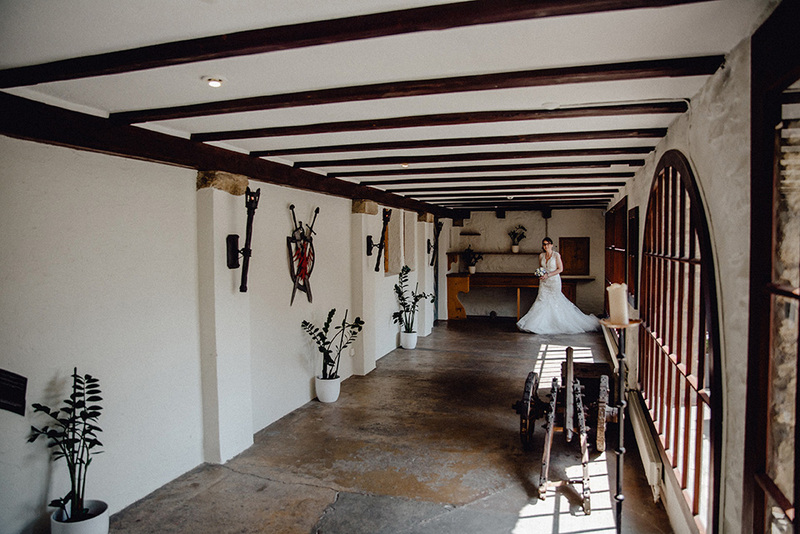 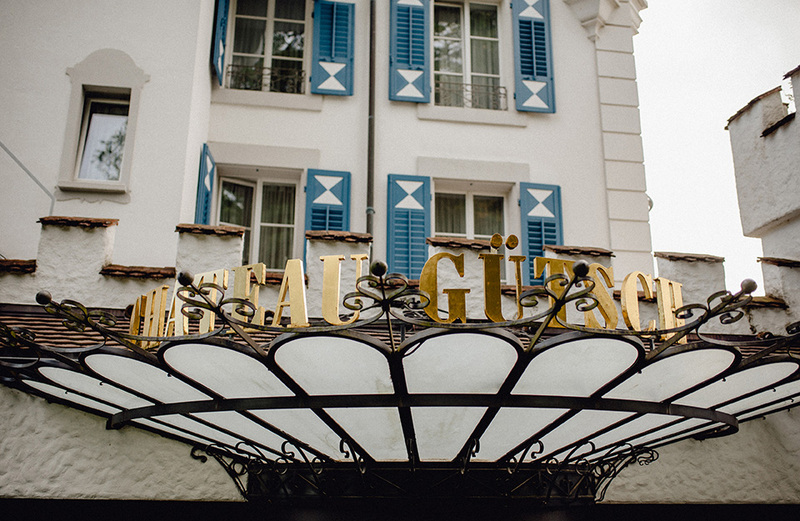 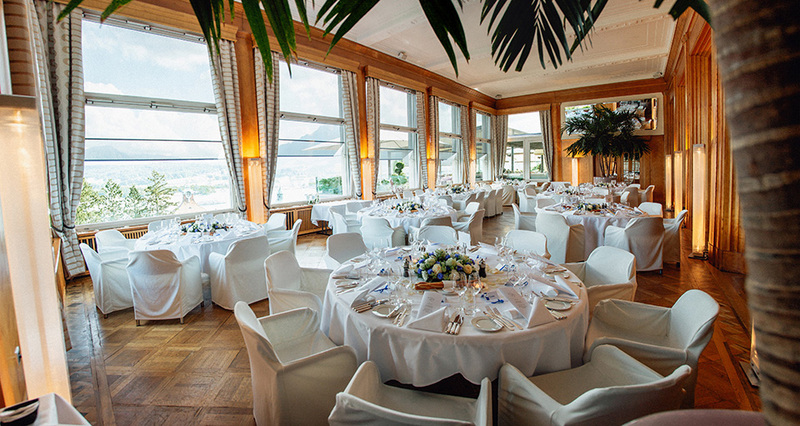 The beautiful interior of the Hotel Gütsch where the Bride was getting ready with her closest ones. 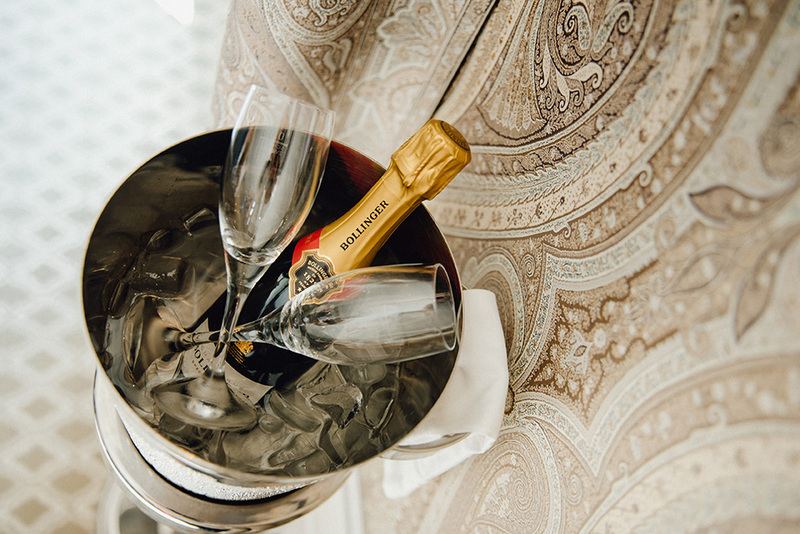 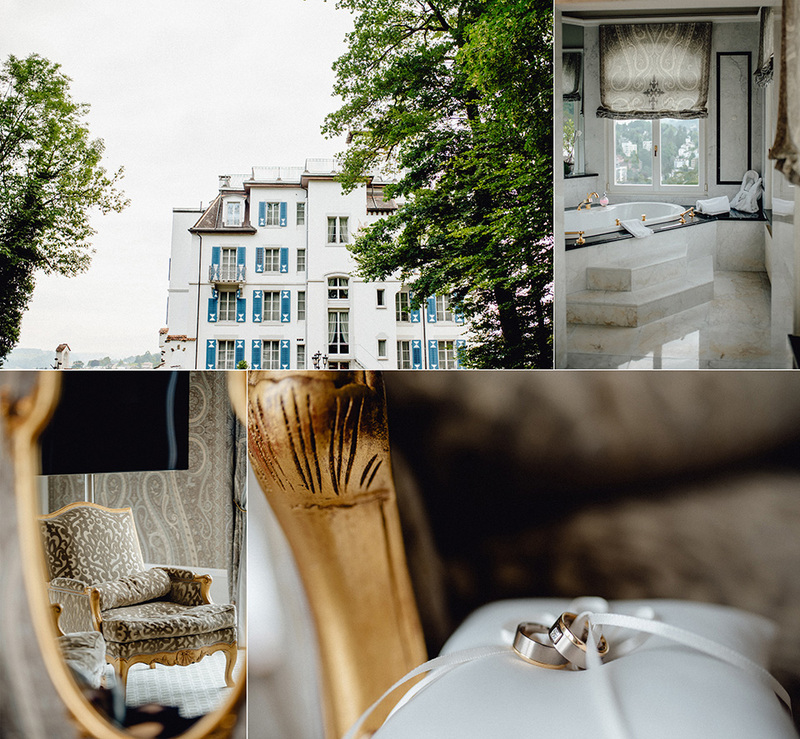 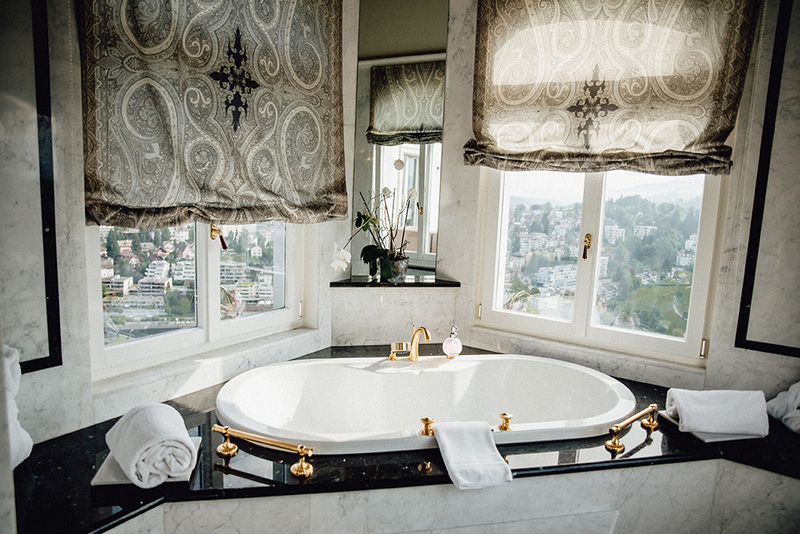 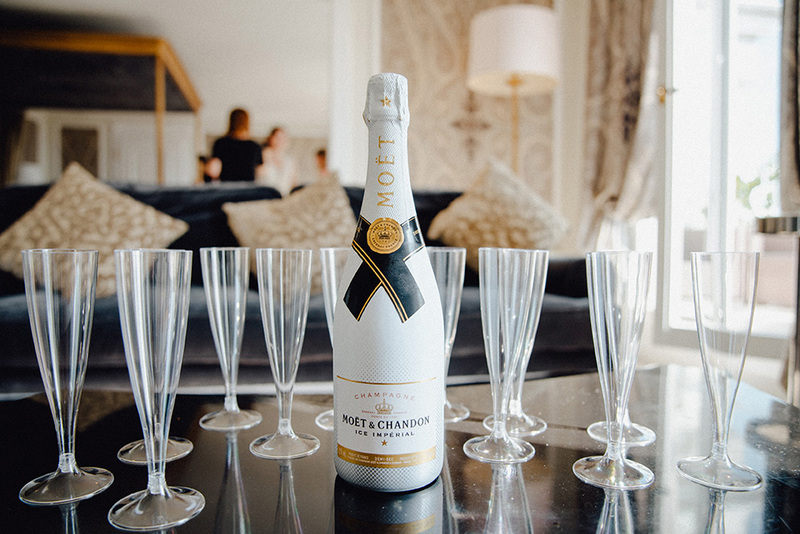 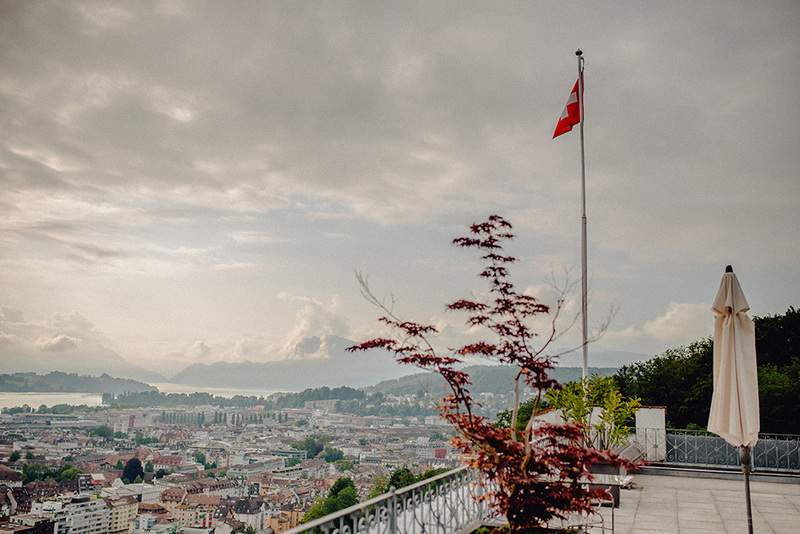 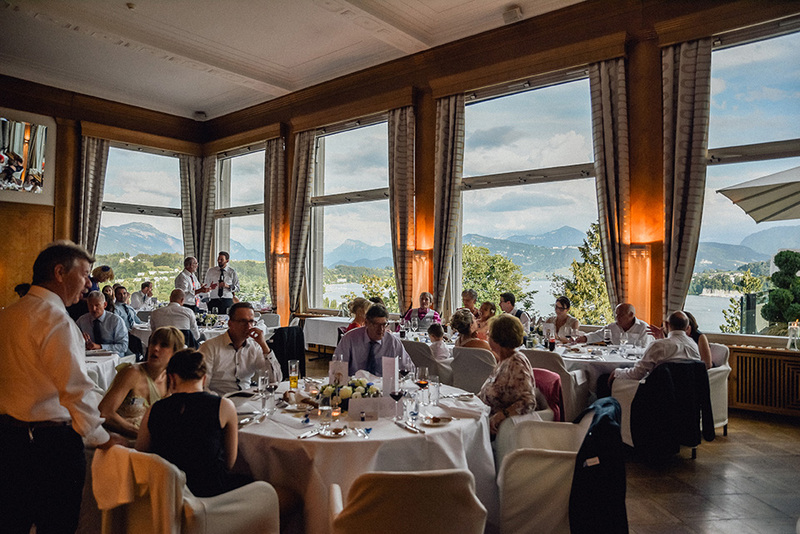 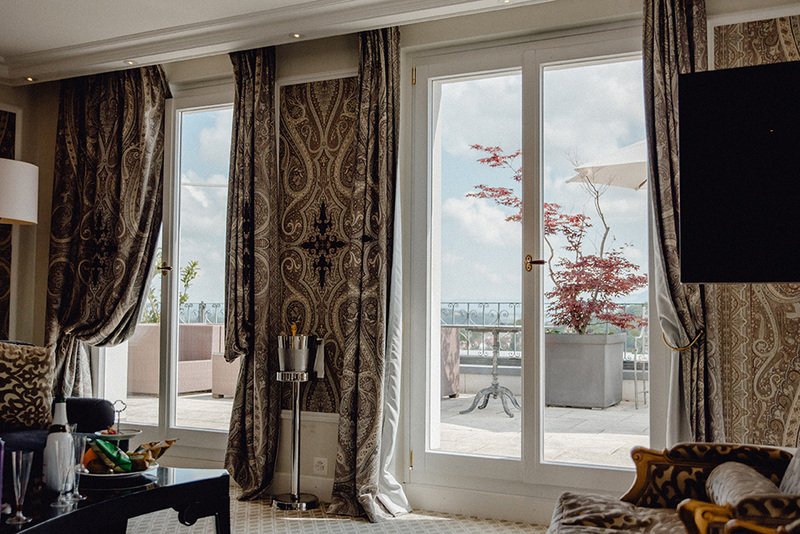 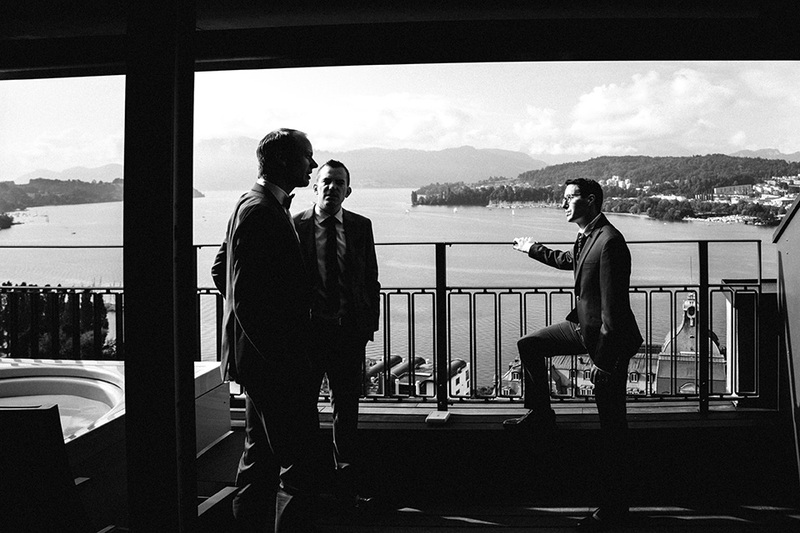 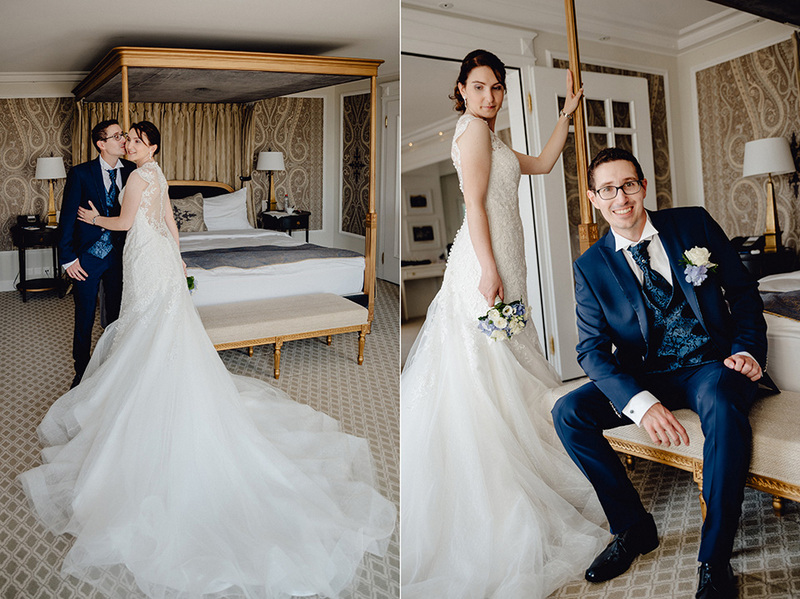 The Alexander Suite with it’s magnificent view to the city and Lake of Lucerne, – was so inspirational to us photographers. 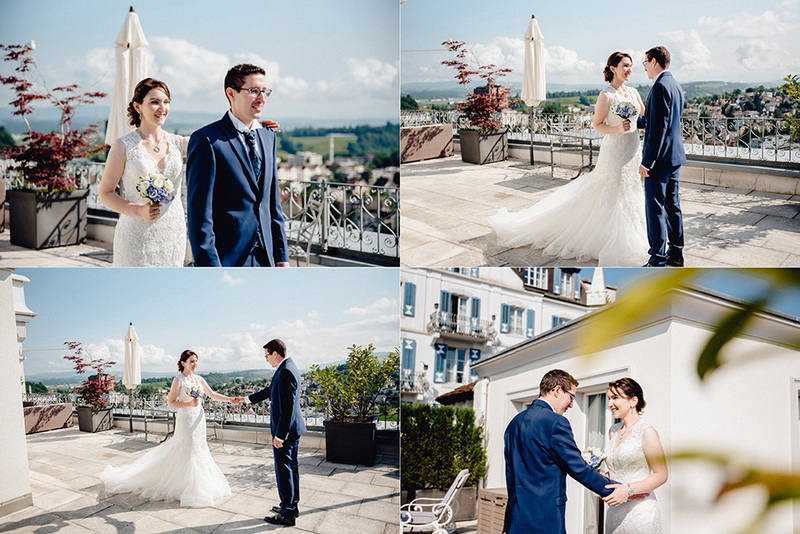 A perfect place to hold the First look scene on the Terrace of the Suite. 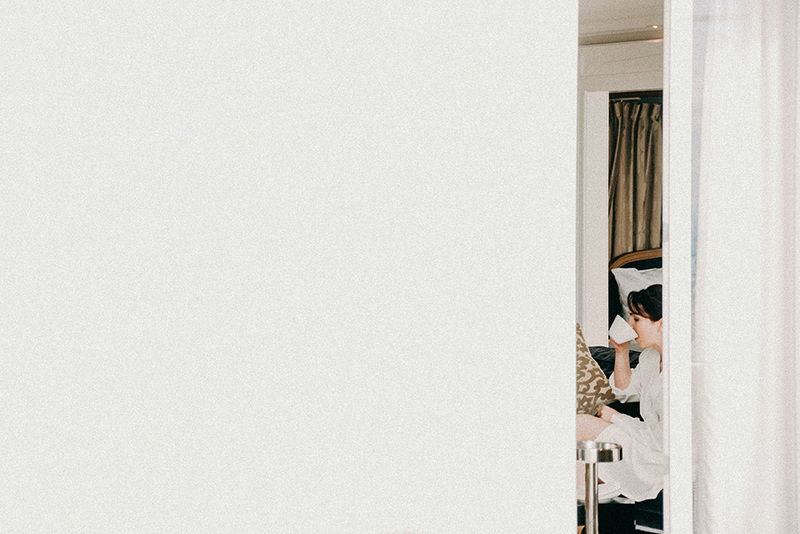 After that, we took a short creative photo session in the room. 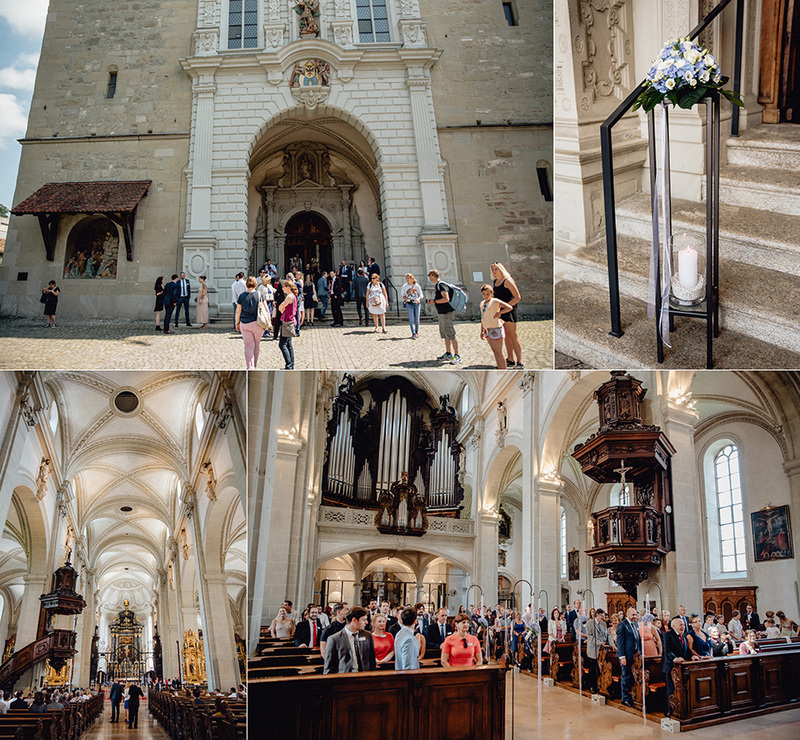 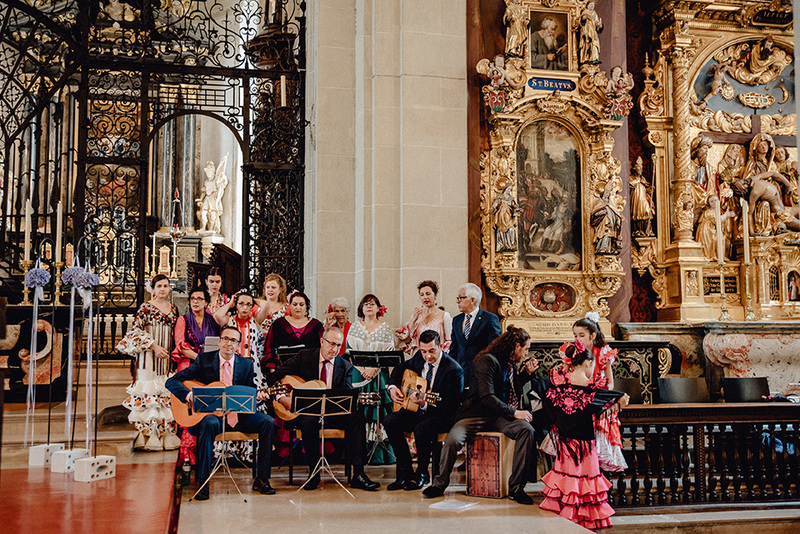 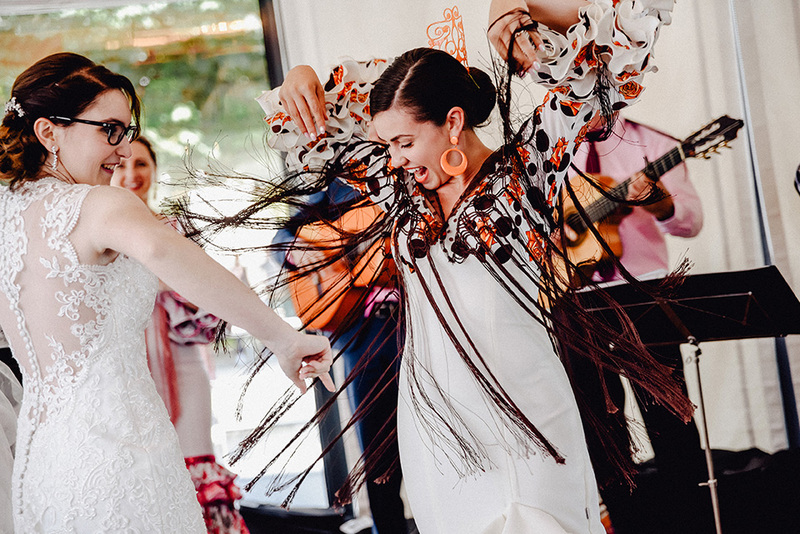 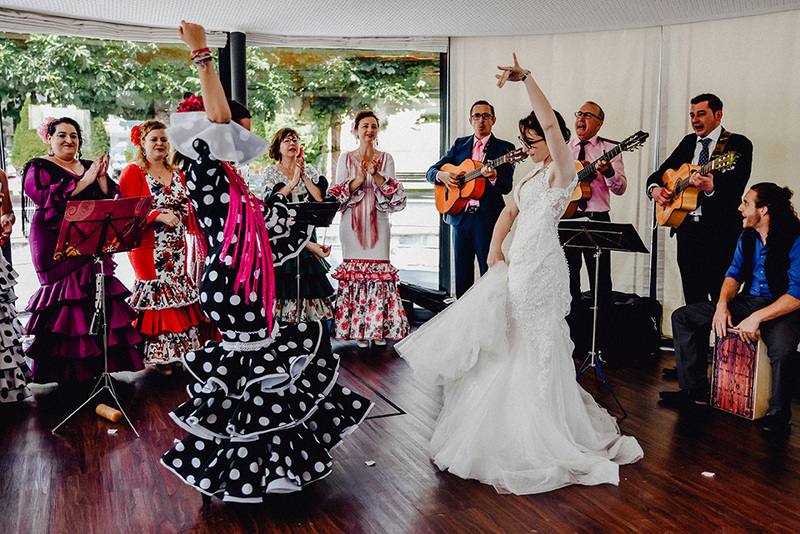 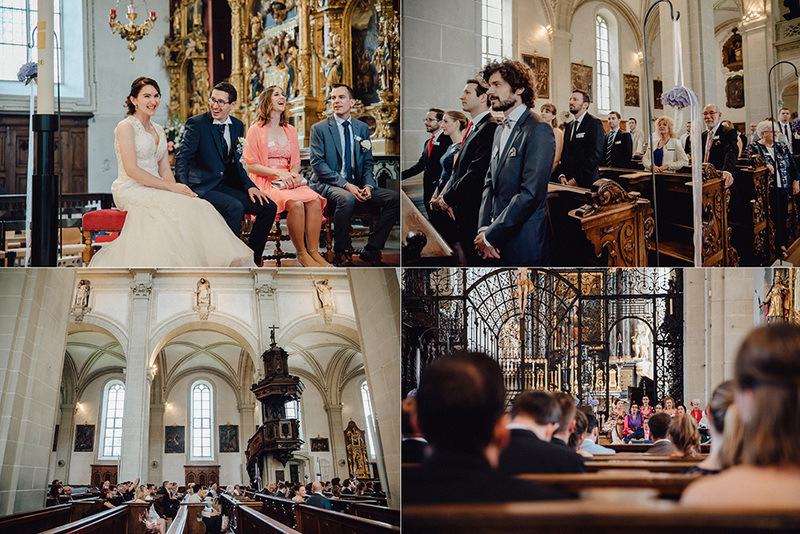 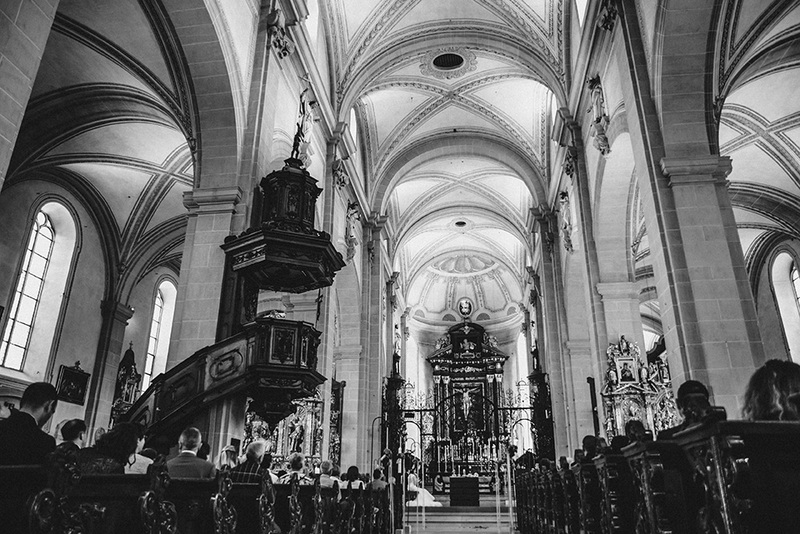 The Wedding ceremony was frenetic in the Hofkirche St. Leodegar, thanks to the nice priest and the brilliant Spanish Music Band who later played on the wedding boat trip with tasty Apéro snacks, sunshine and dance. 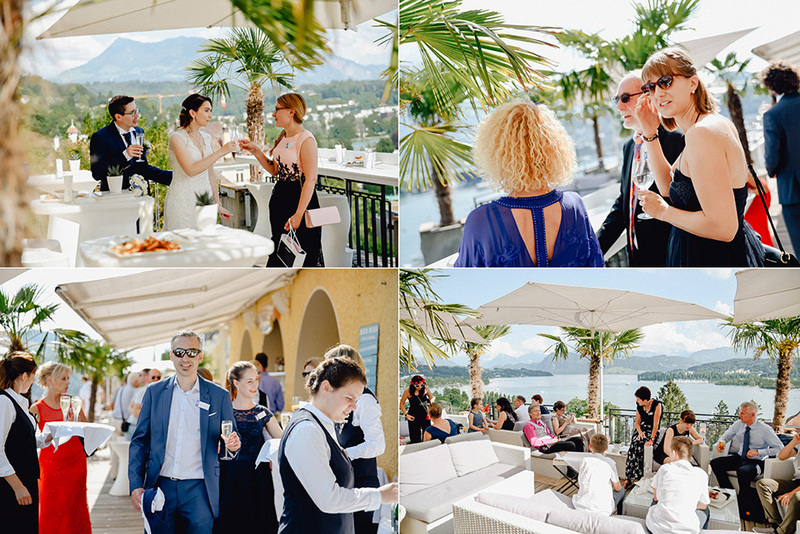 The reception continued on the Beach Club terrace at Art Deco Hotel Montana. 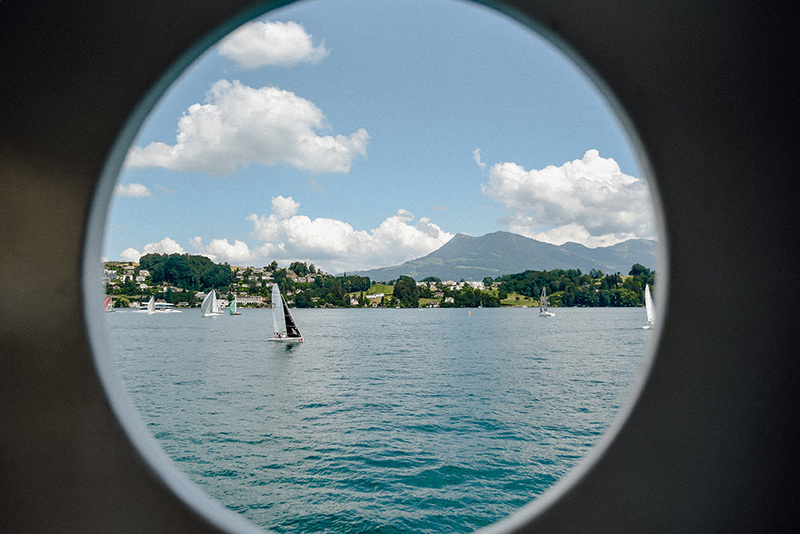 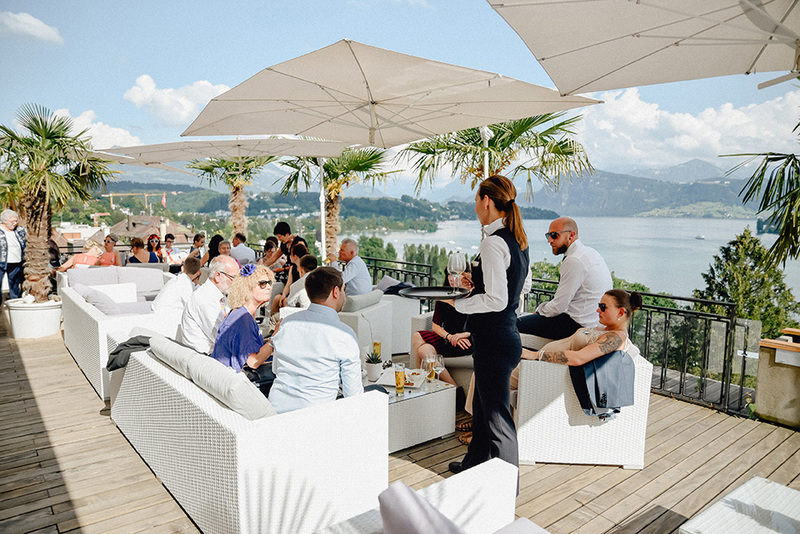 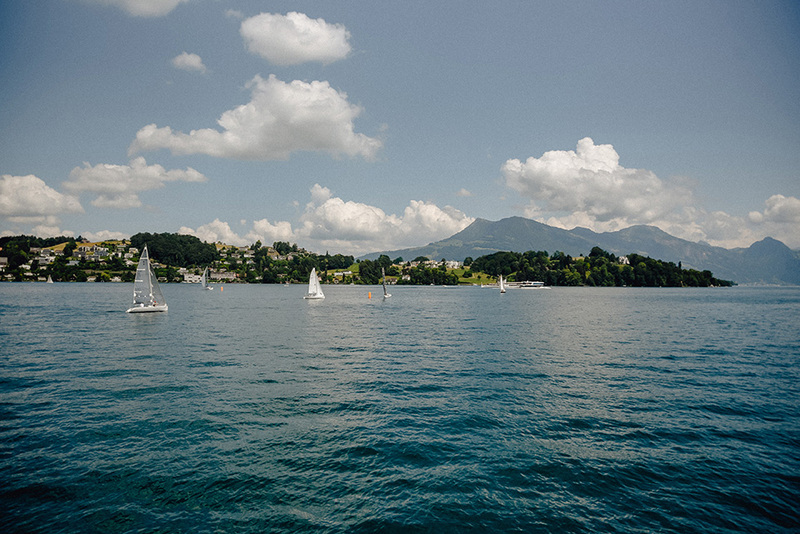 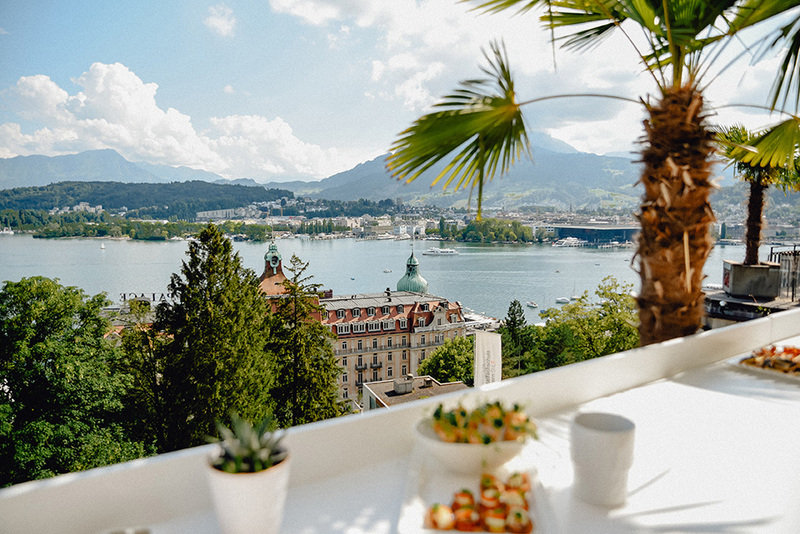 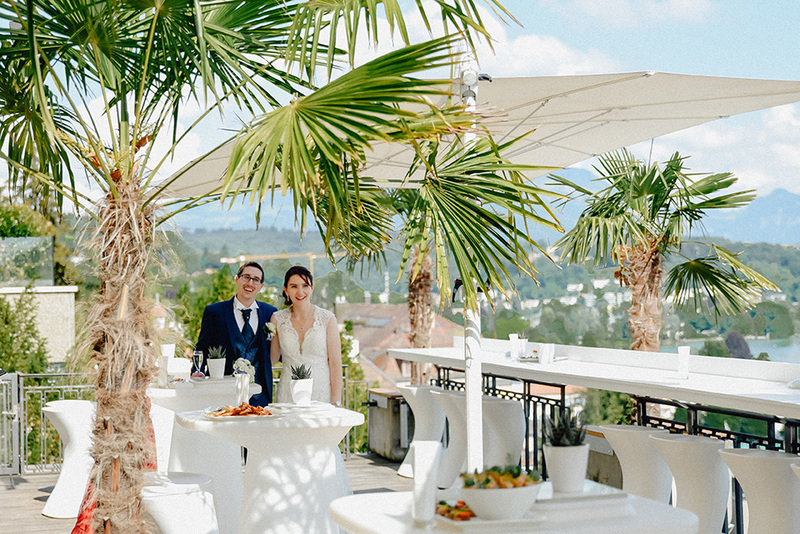 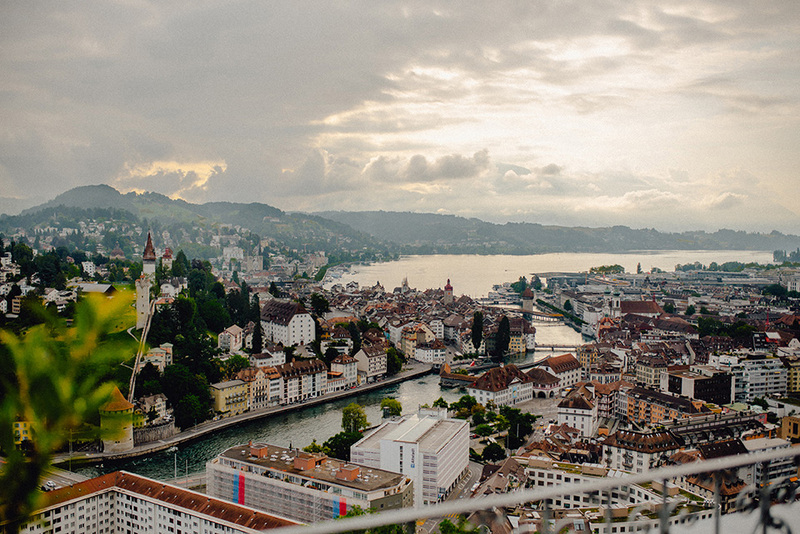 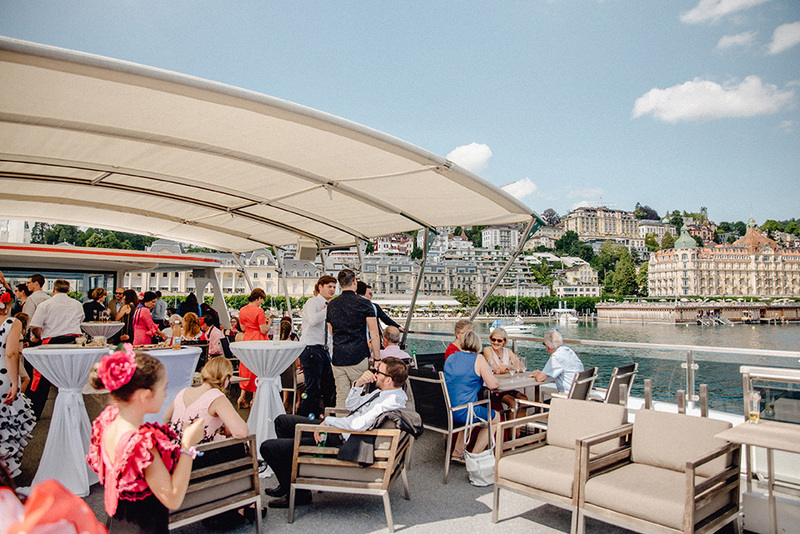 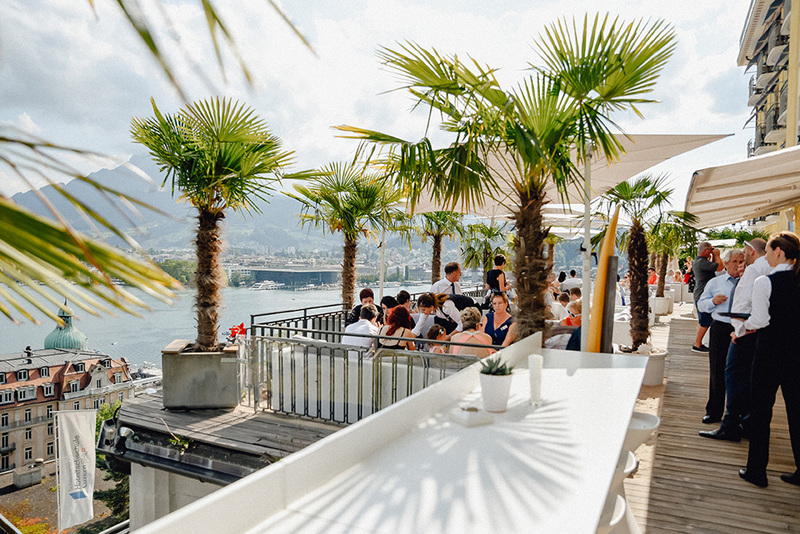 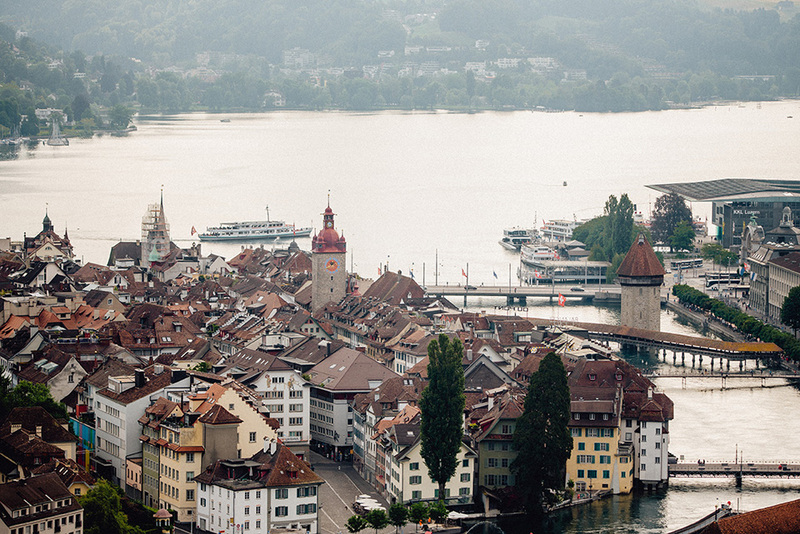 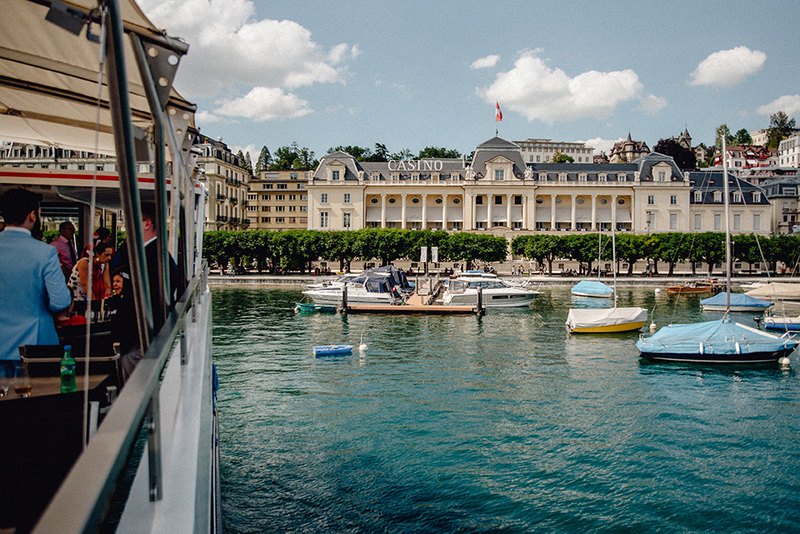 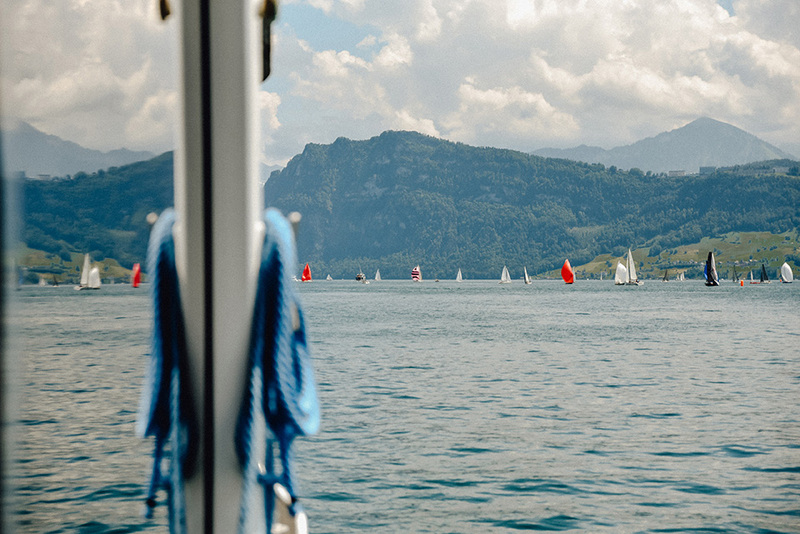 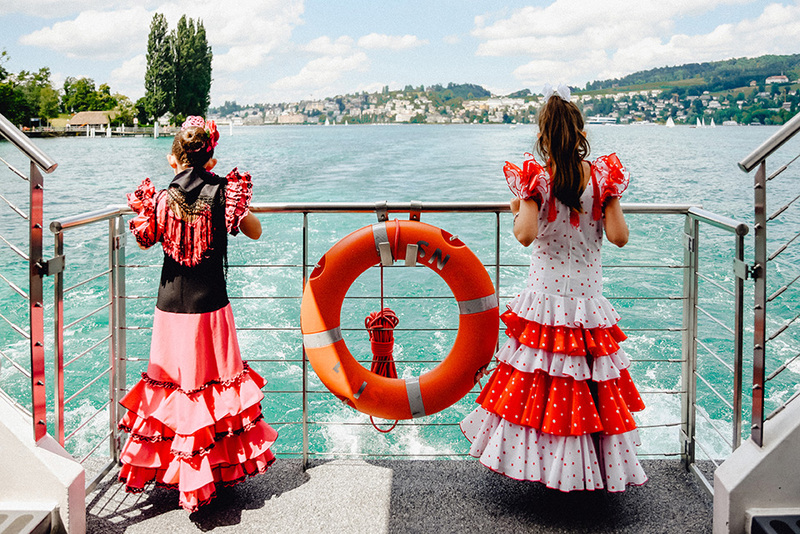 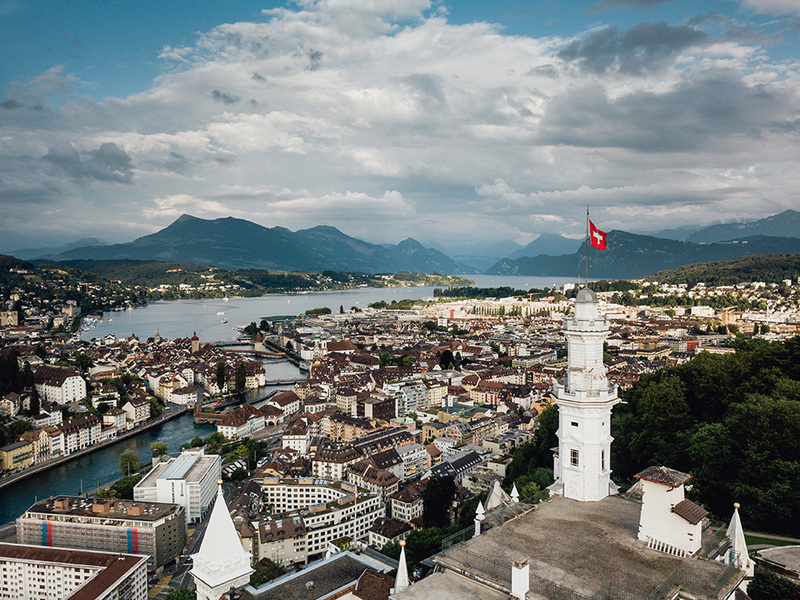 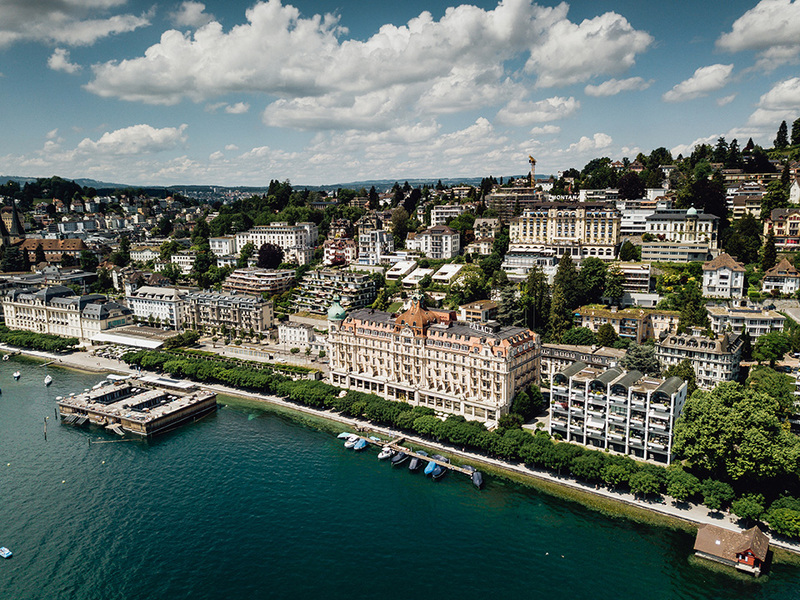 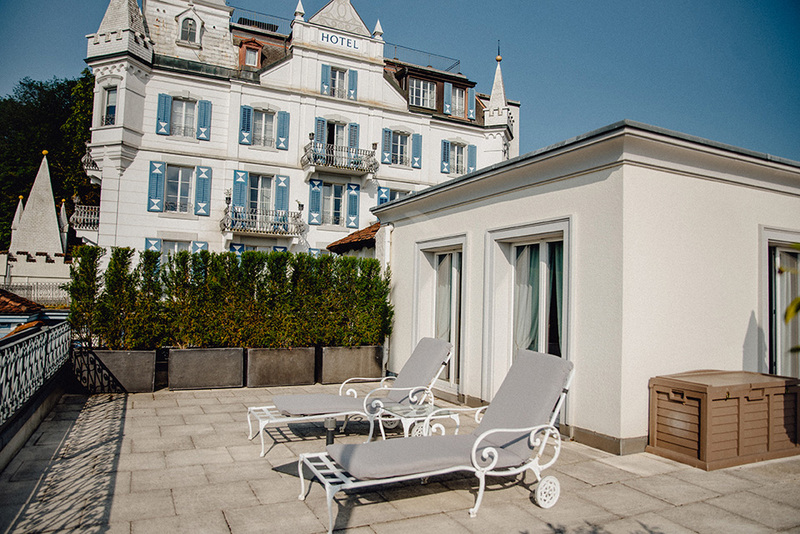 Palm trees, sands, white seating and appetizing apéro snacks, the beautiful view to Lucerne smuggled a little Mediterranean sensation to the Day. 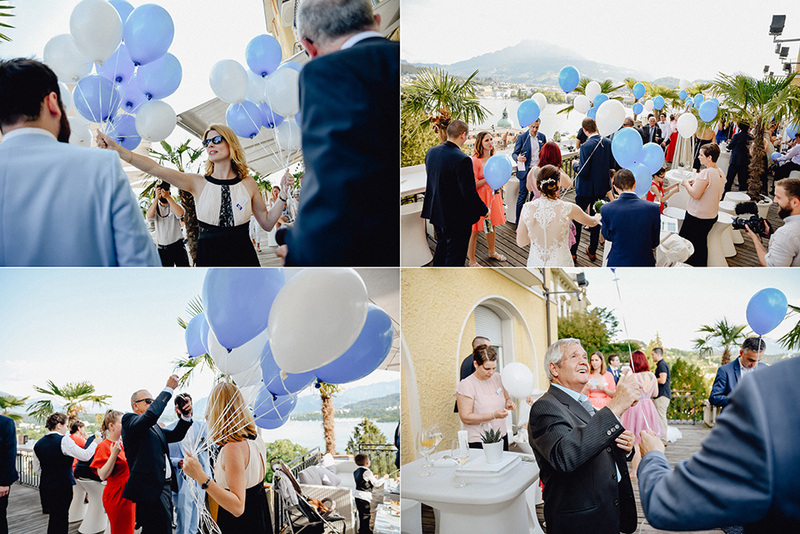 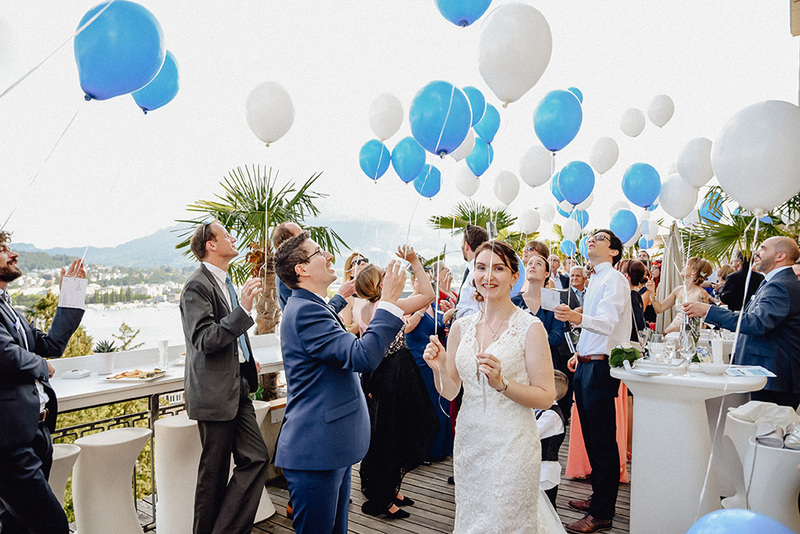 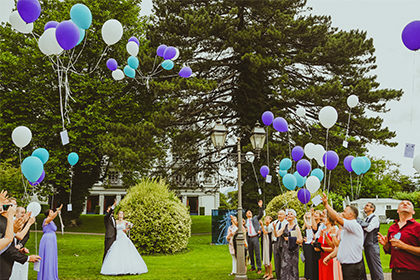 After the Wedding Balloon release, the SCALA restaurant where the wedding dinner was served was opened by the wedding couple. 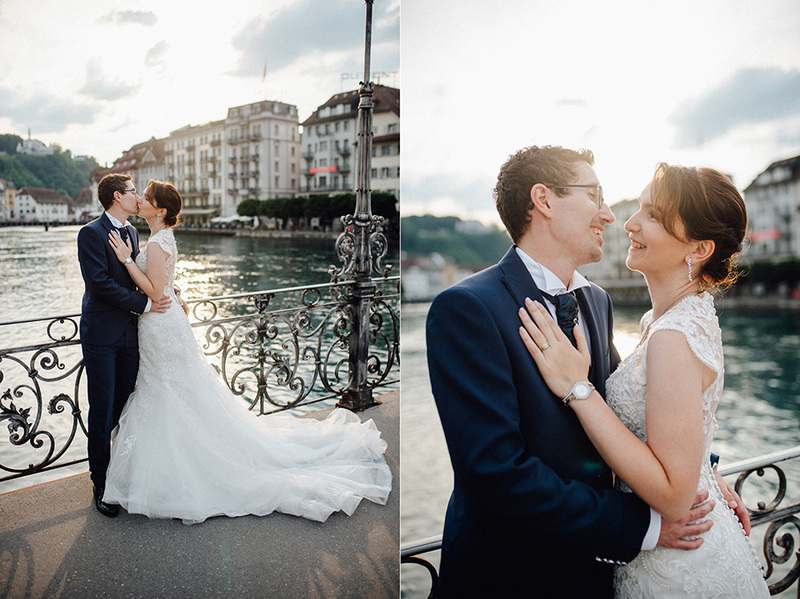 Bride and Groom decided that they would do the creative photo shooting another day, in the centre of Lucerne, which was a good idea to catch wonderful sunset lights. 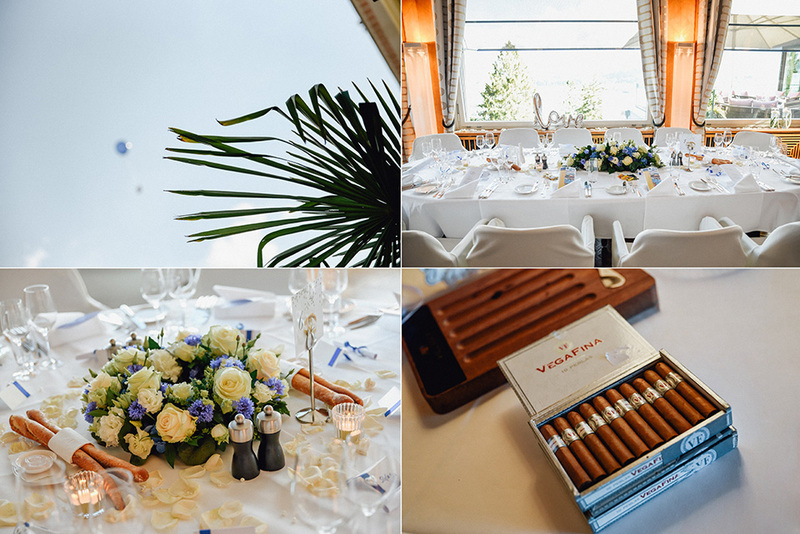 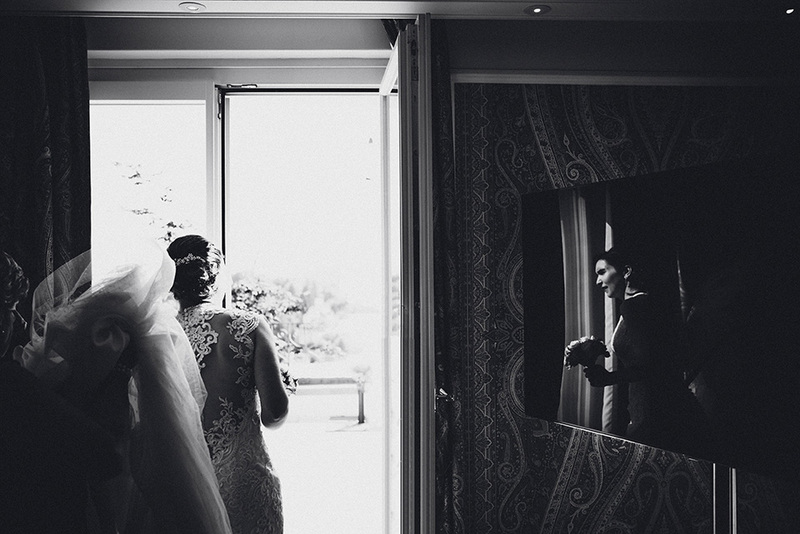 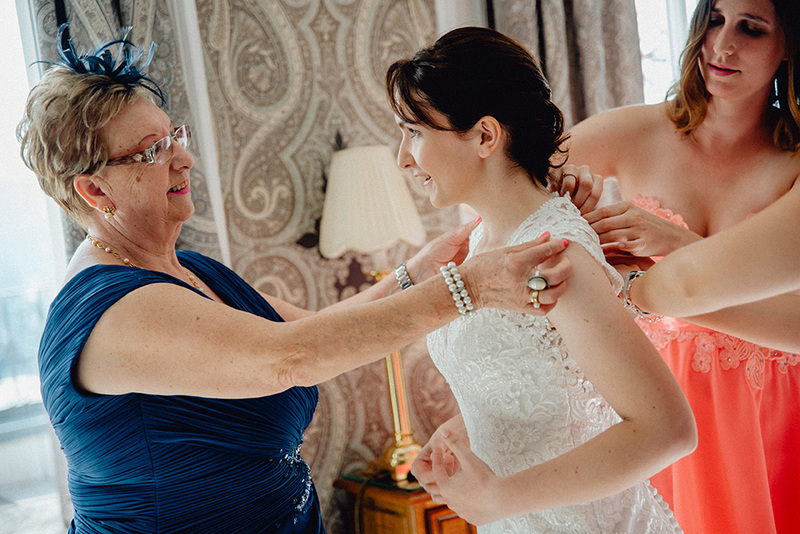 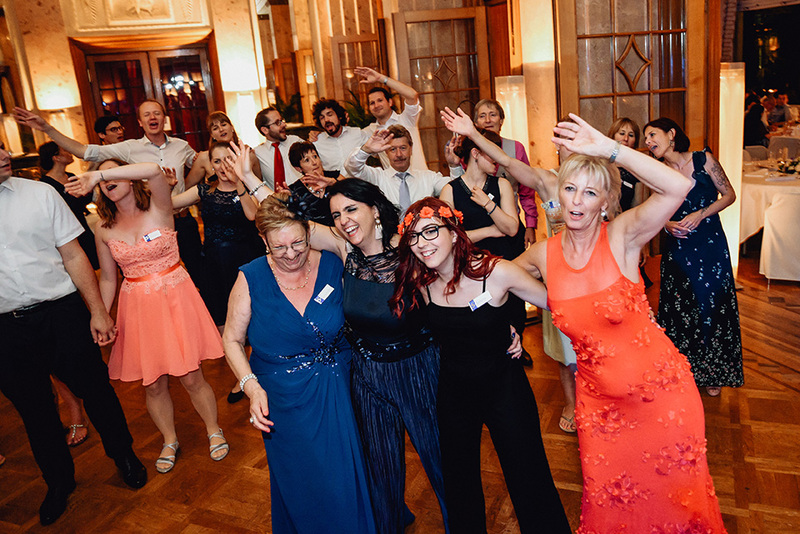 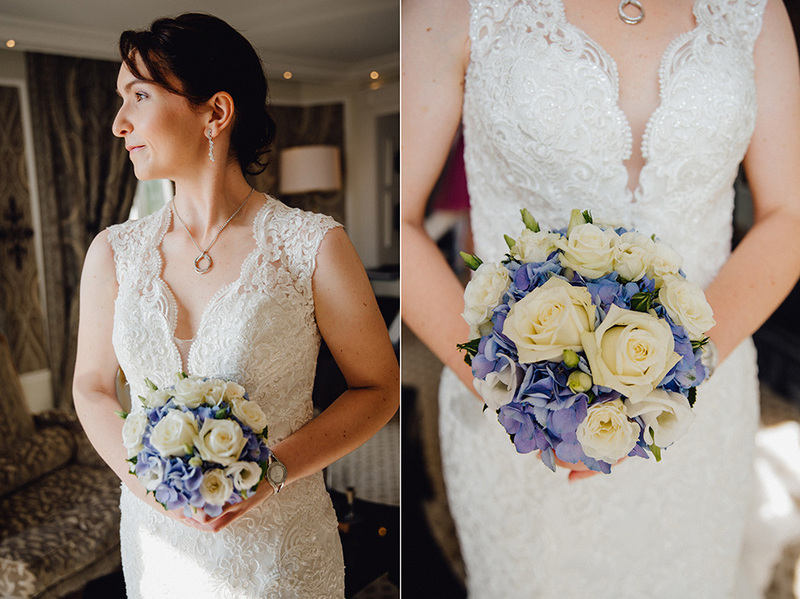 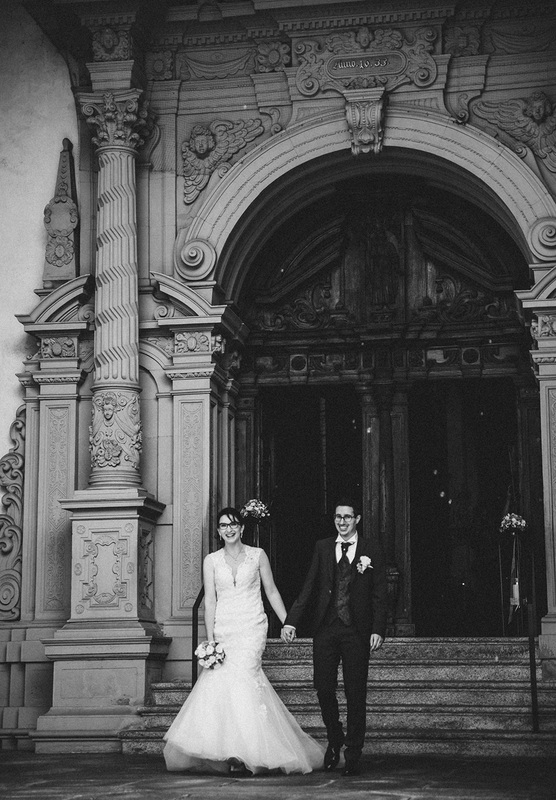 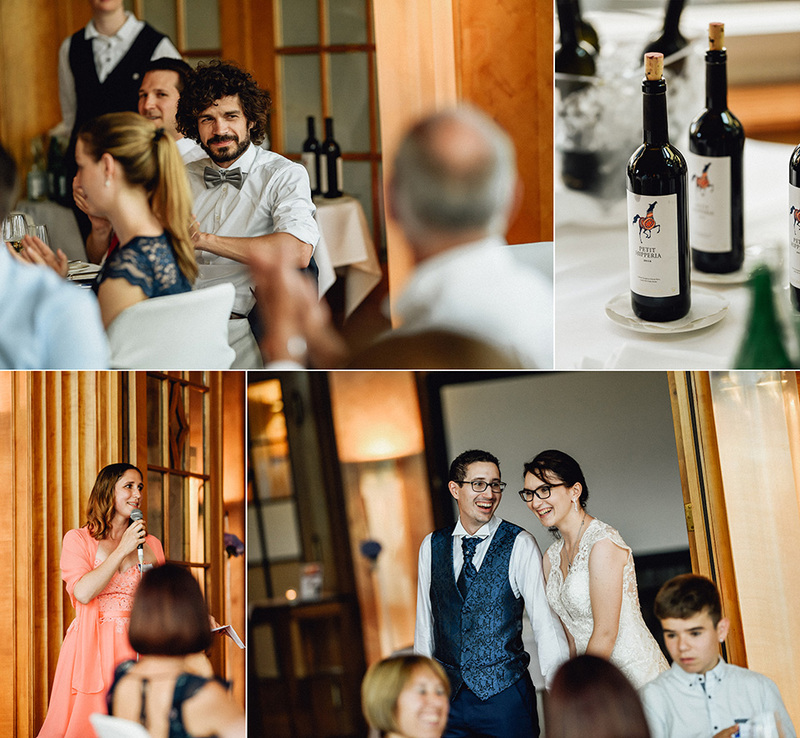 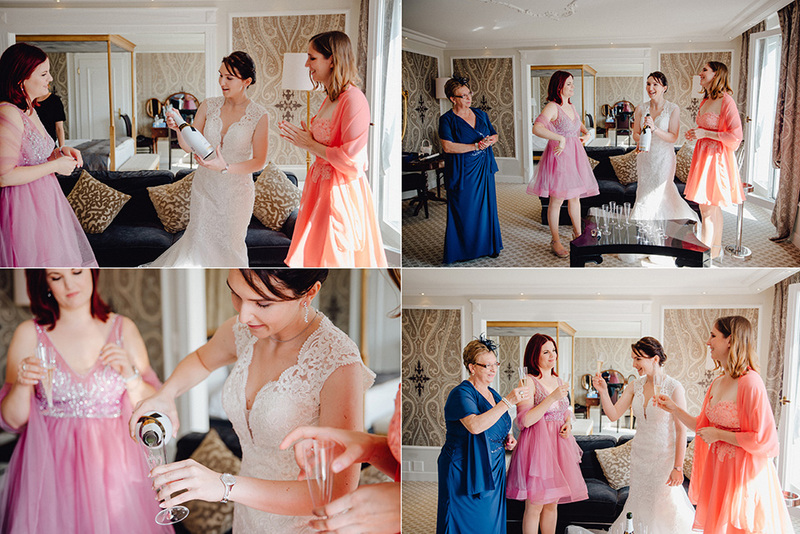 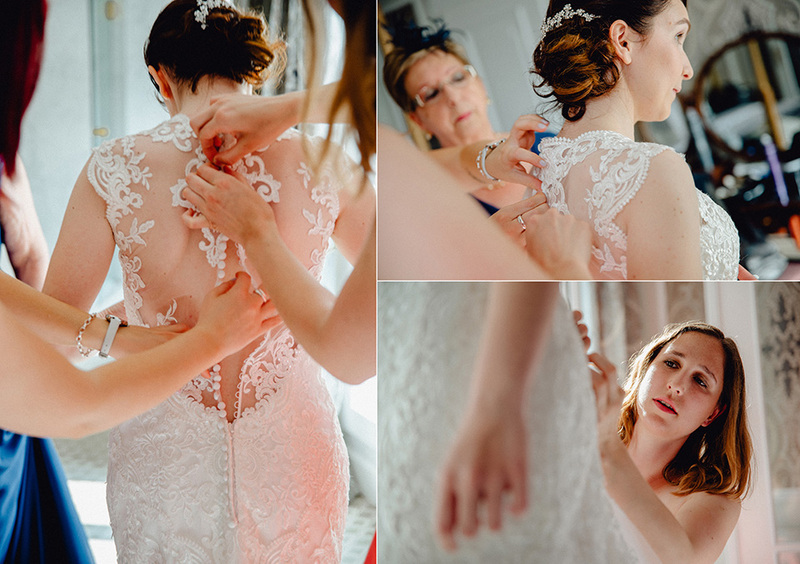 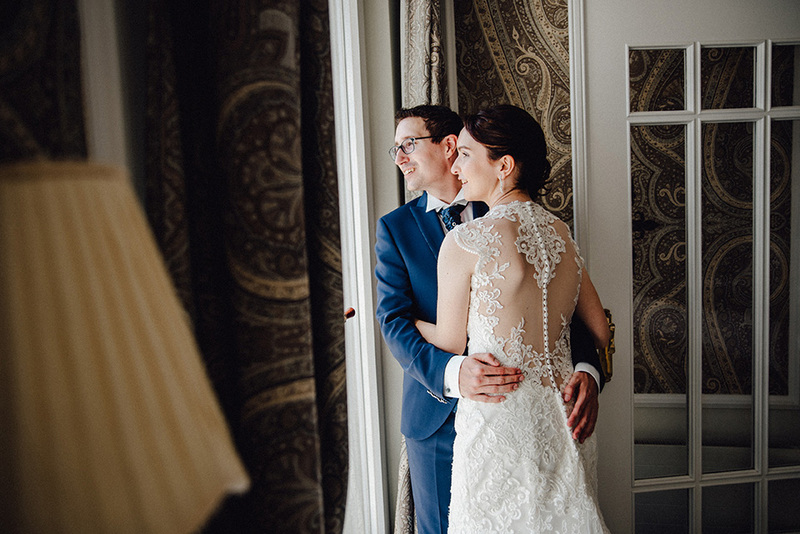 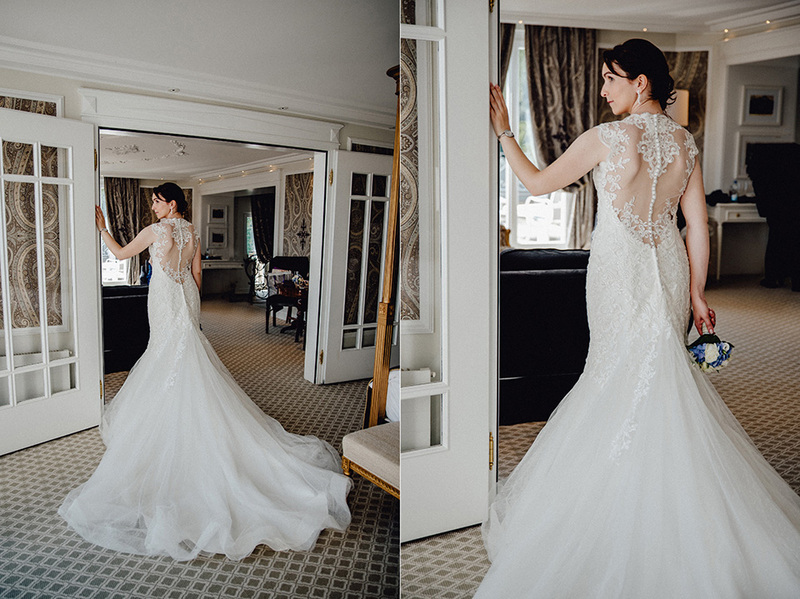 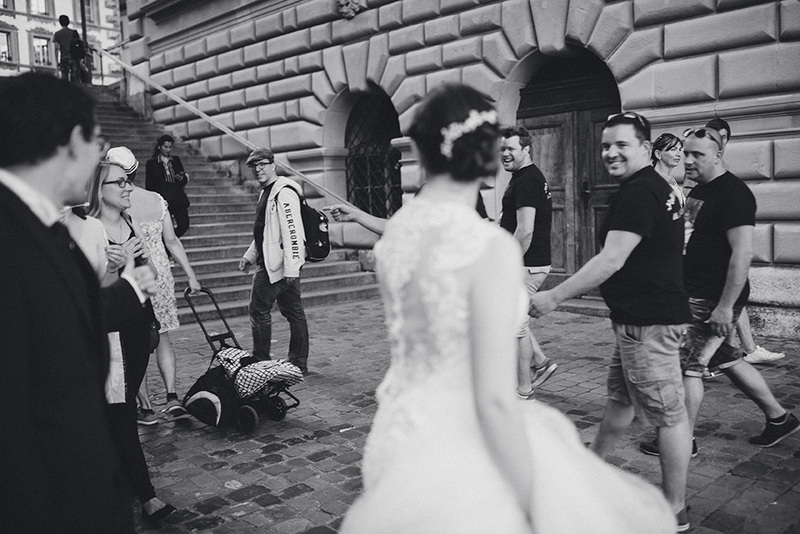 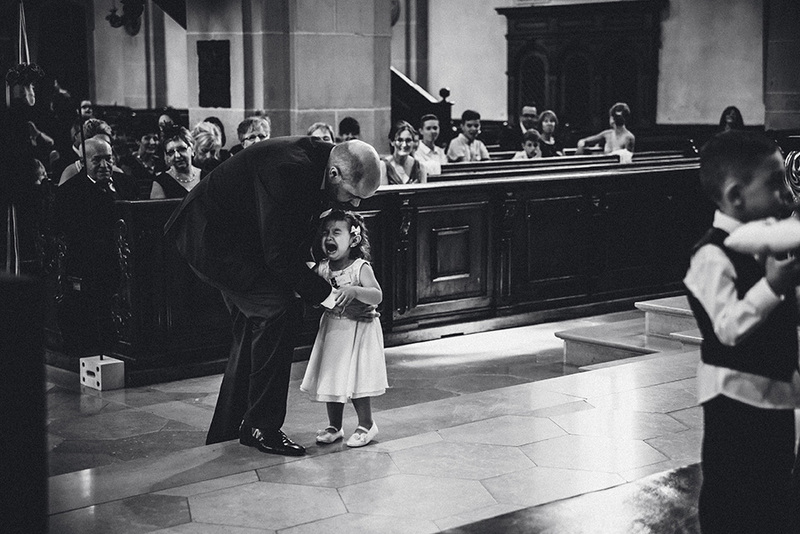 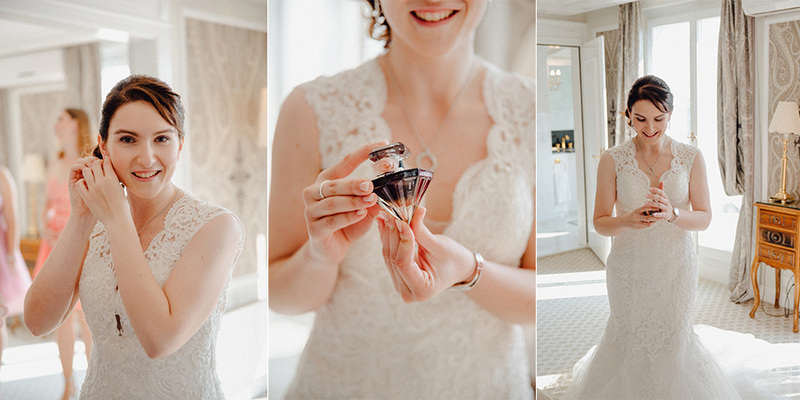 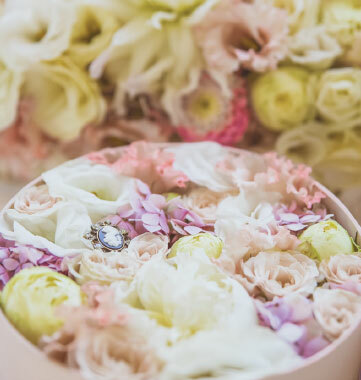 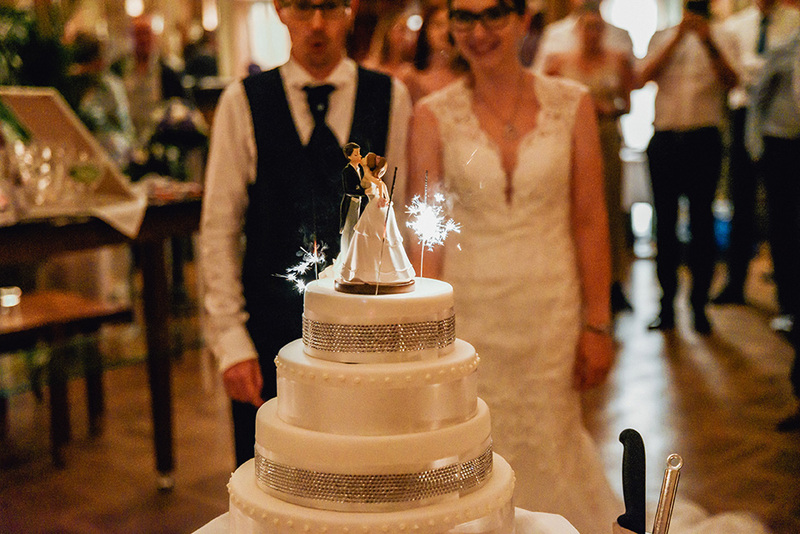 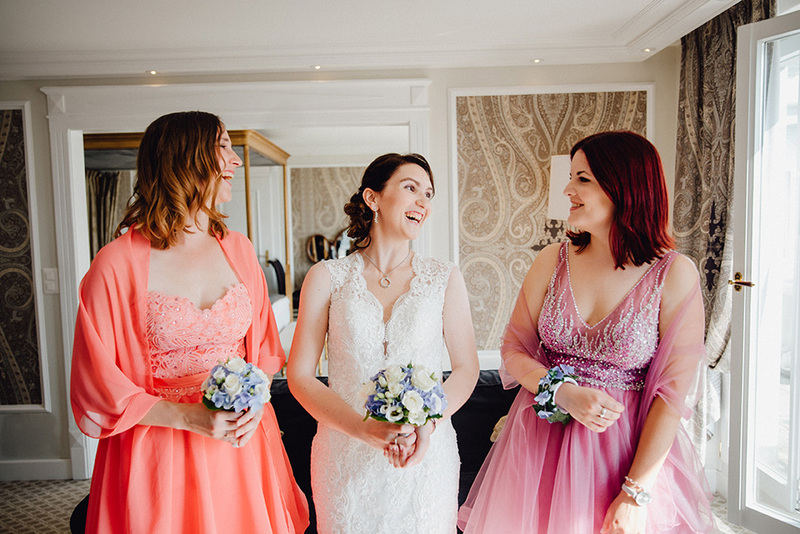 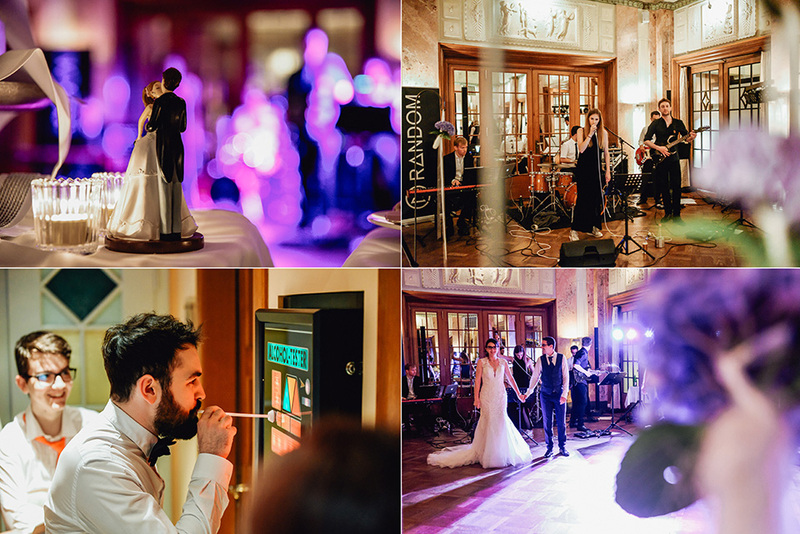 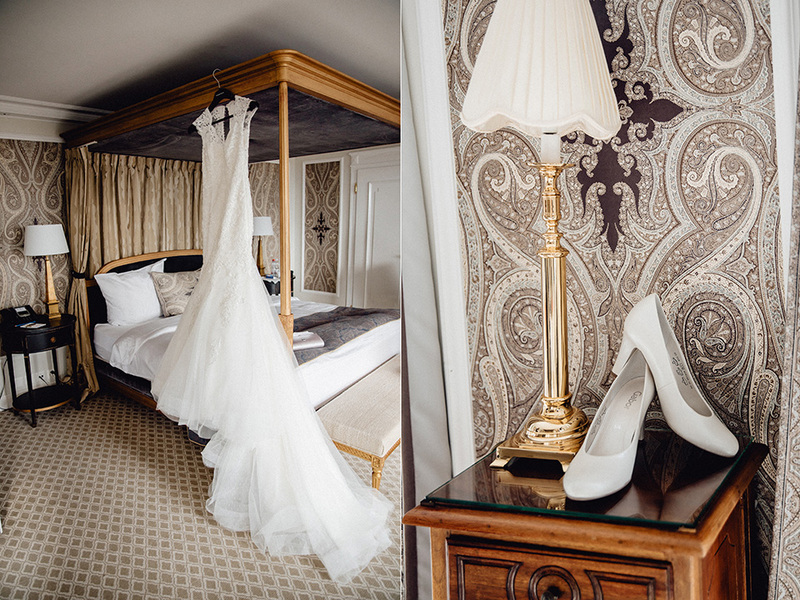 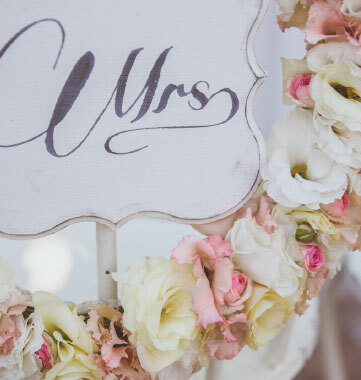 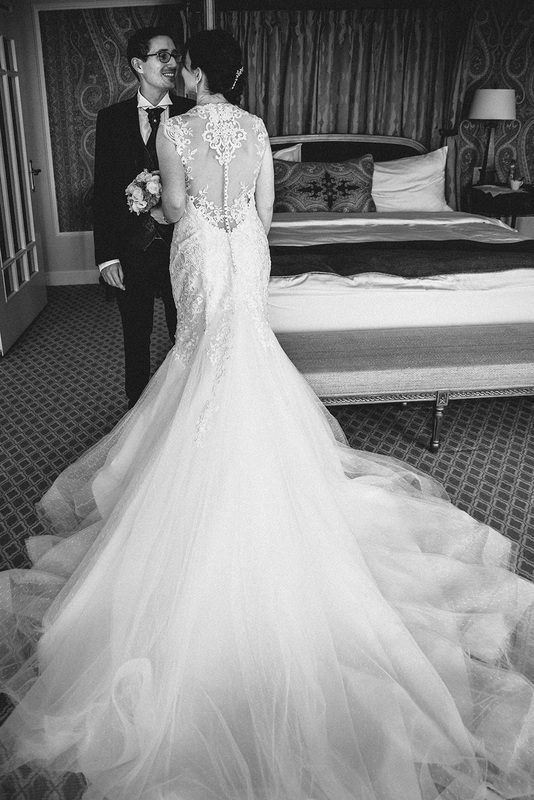 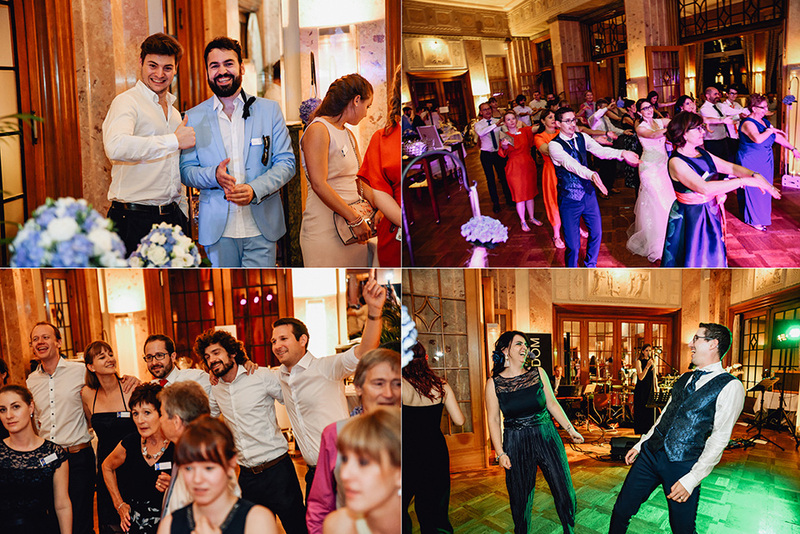 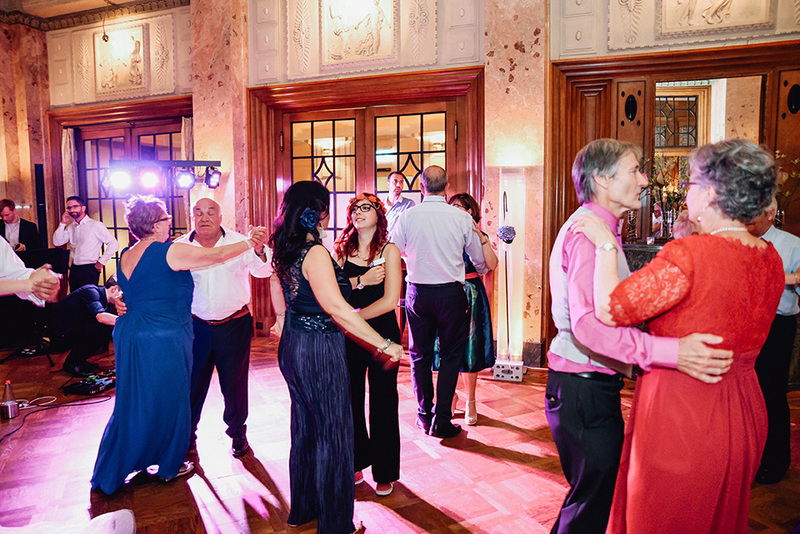 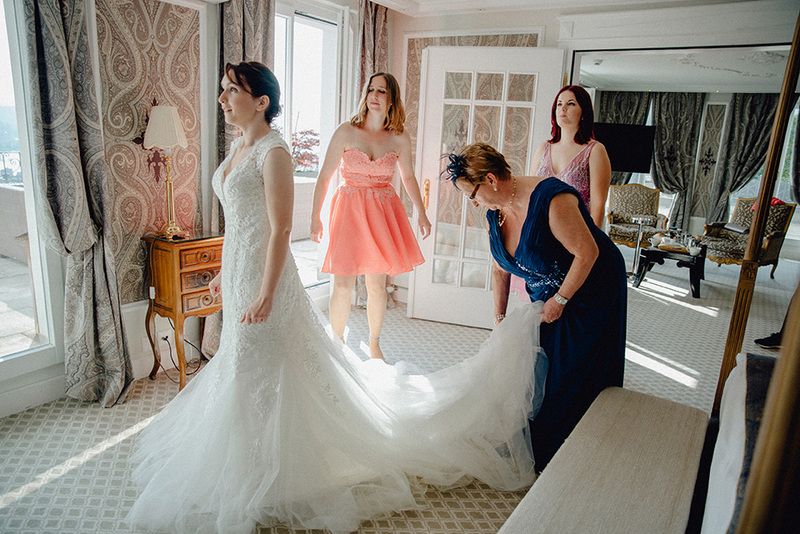 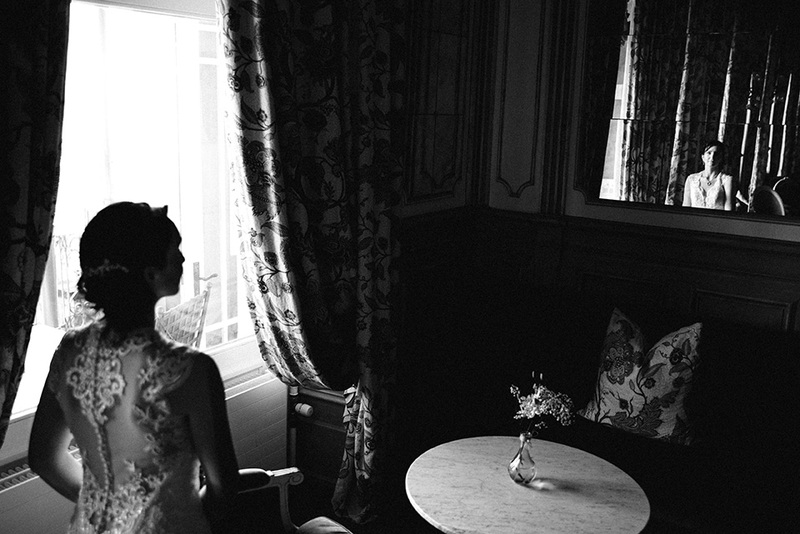 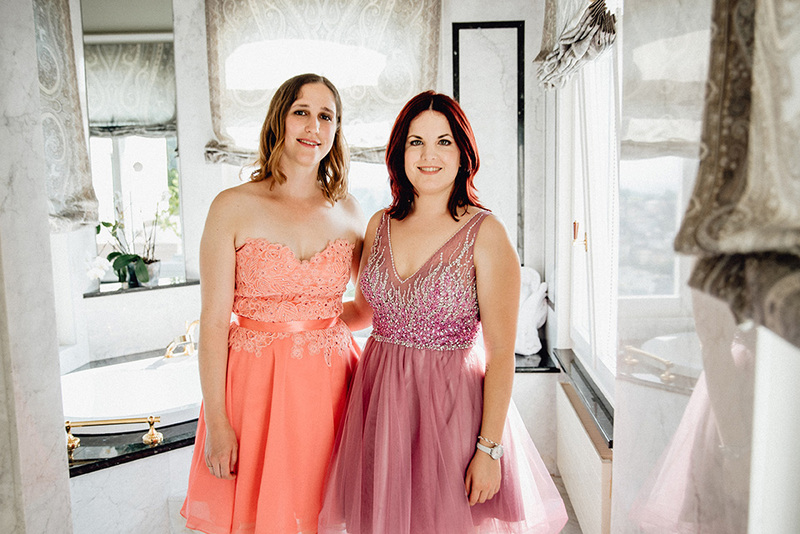 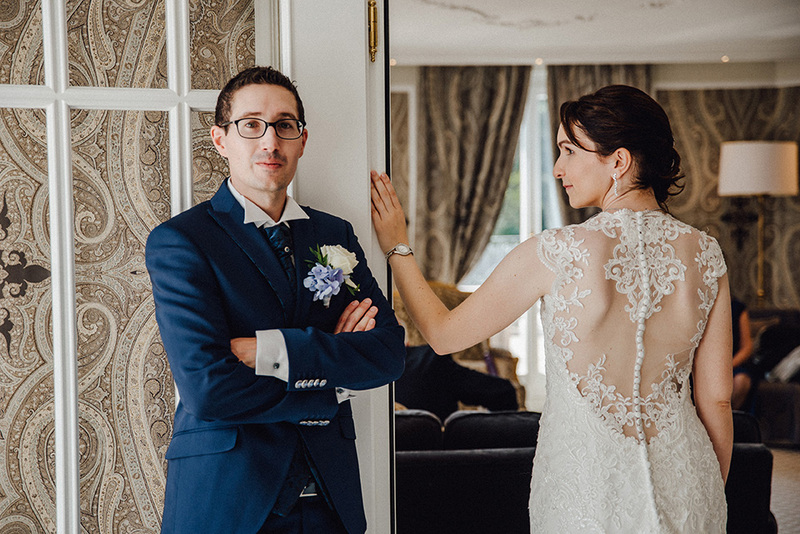 Here is our short selection of this beautiful wedding photo reportage. 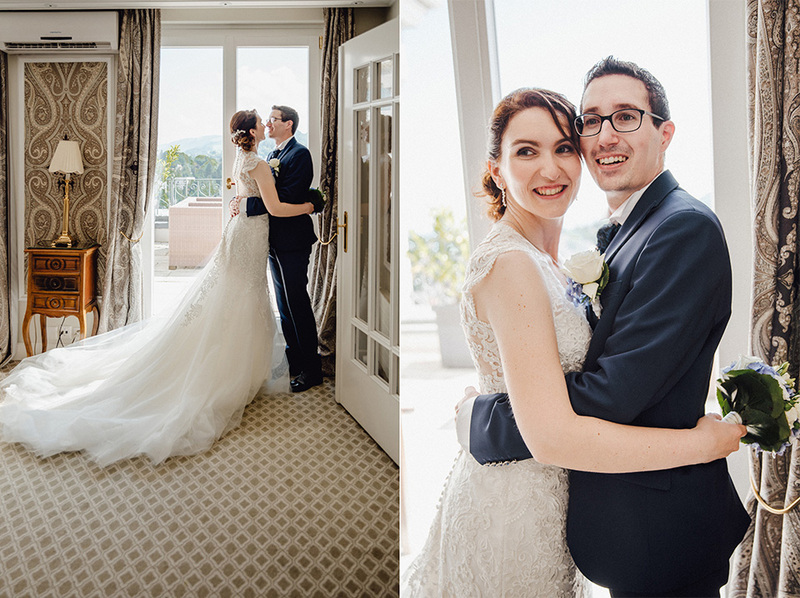 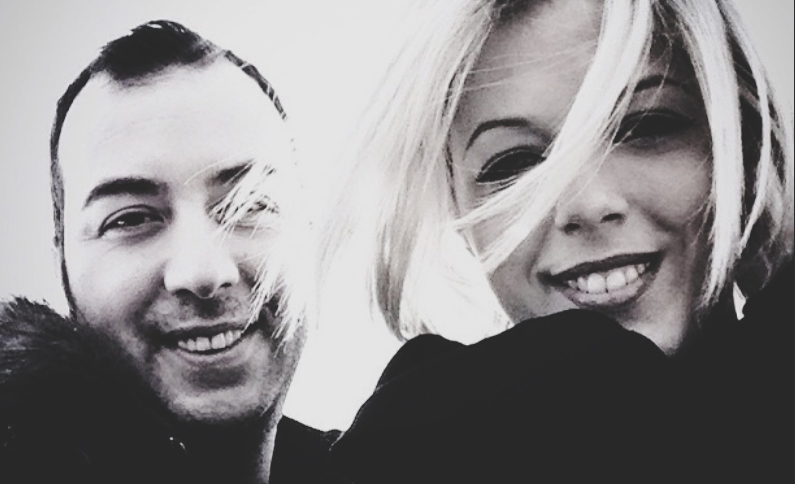 Thank you Monica and Christian for have us as your Wedding Photographer’s!